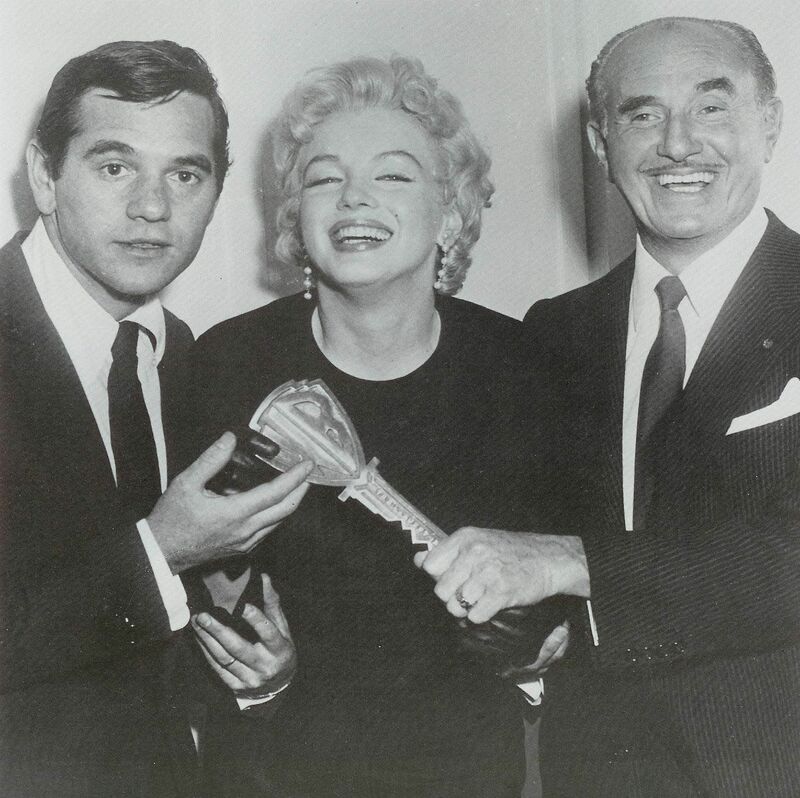 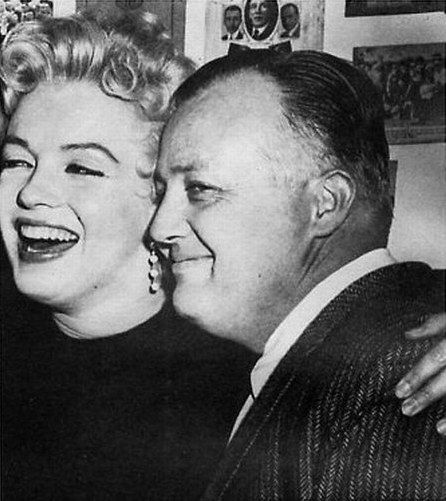 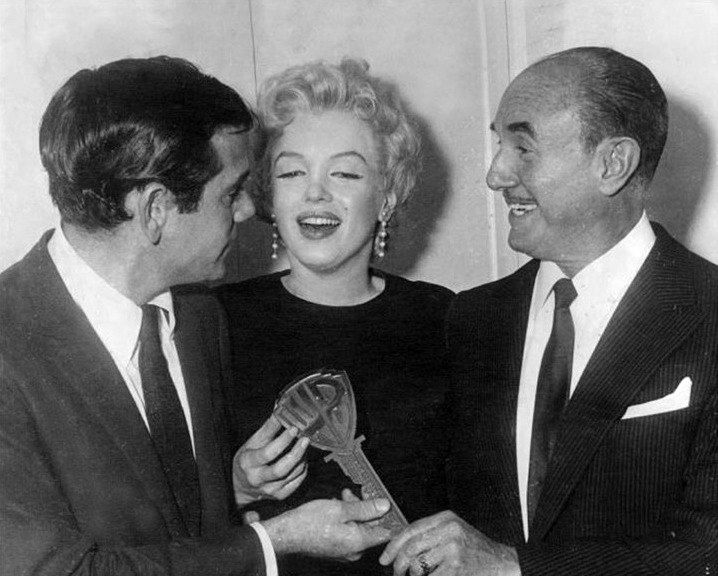 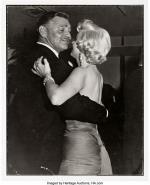 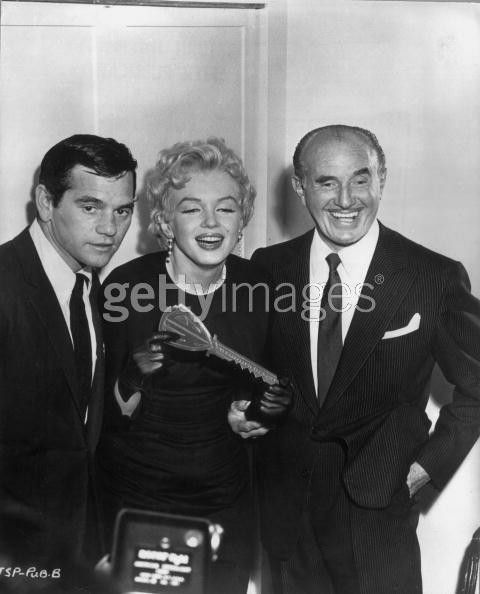 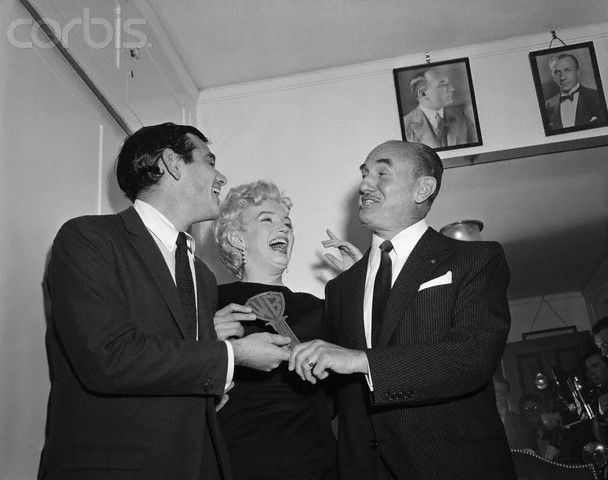 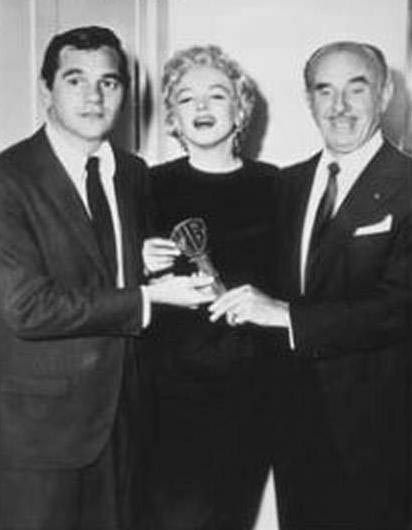 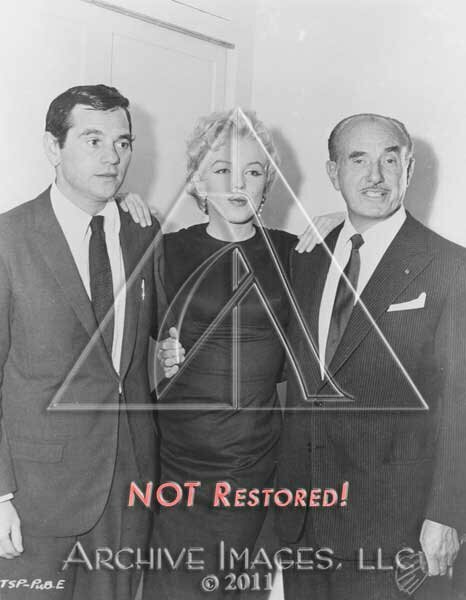 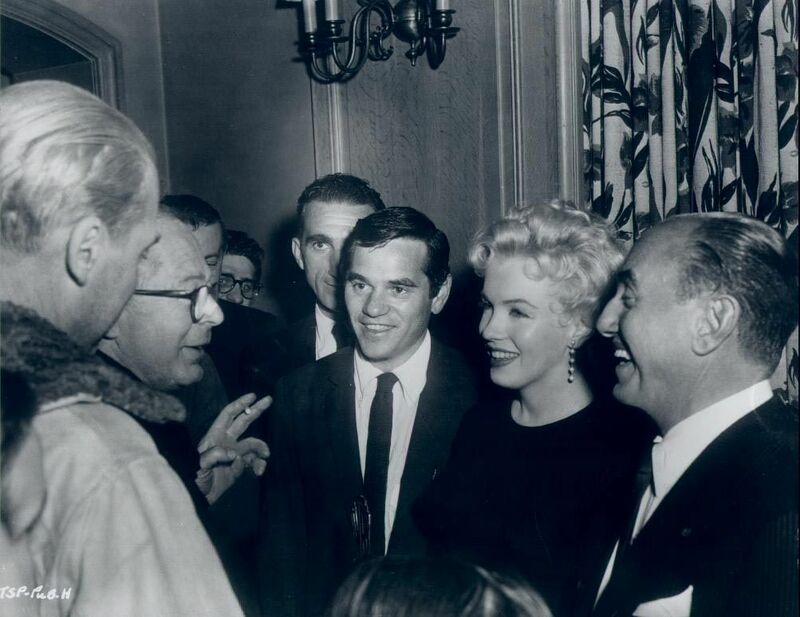 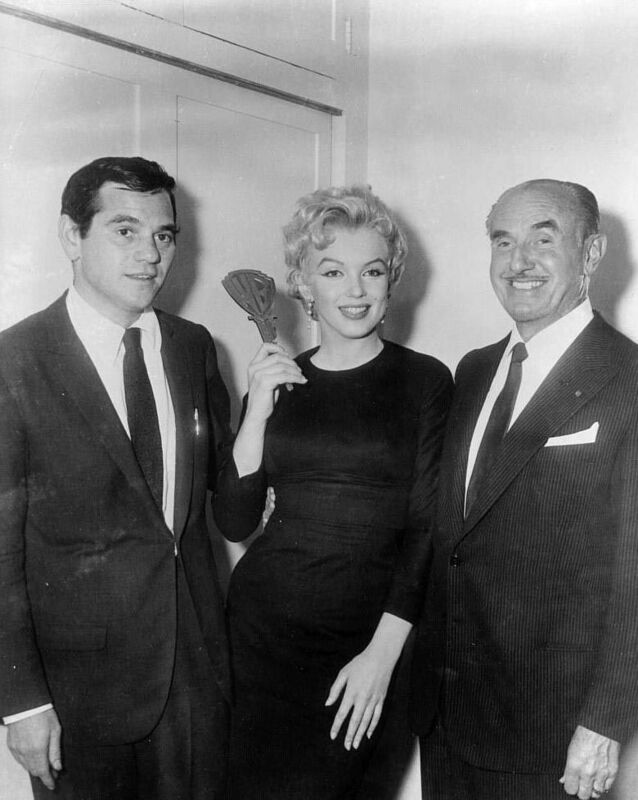 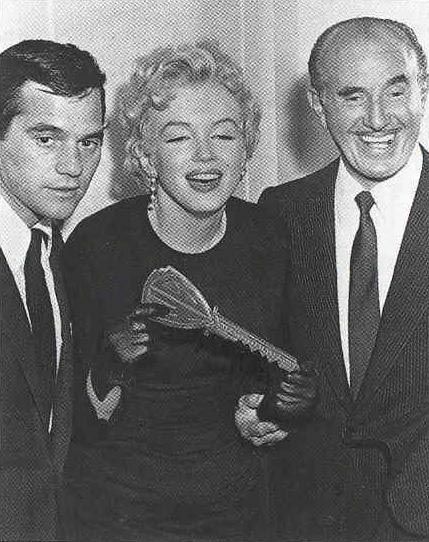 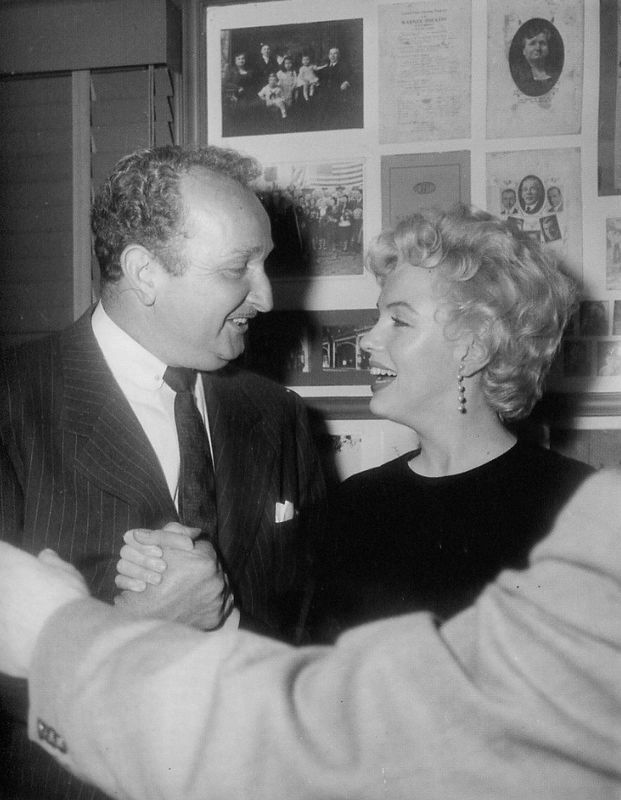 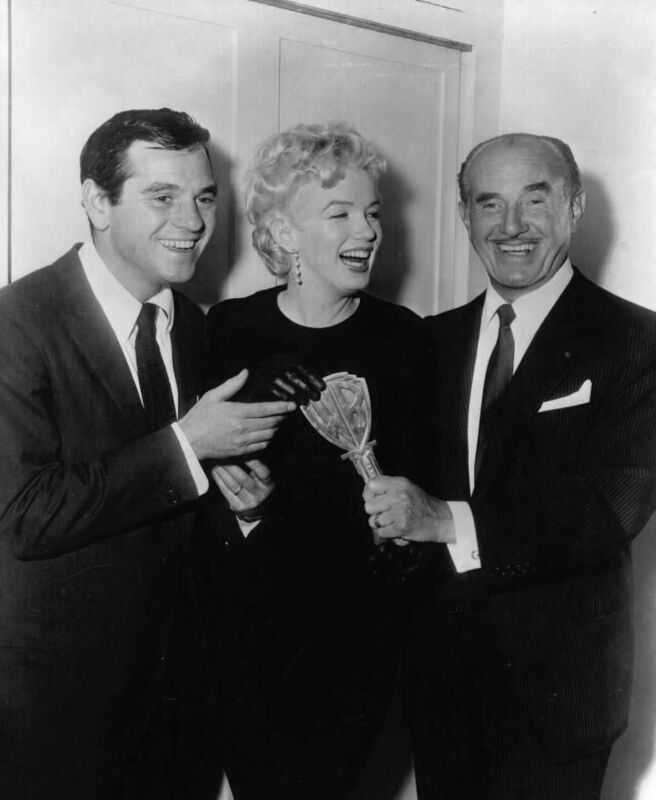 Les administrateurs des "Marilyn Monroe Productions" (Marilyn Monroe, Robert H. Montgomery et George Levine) sont en réunion d'affaires le 24 juillet 1957 dans un bureau au 575 Madison Avenue à New York. 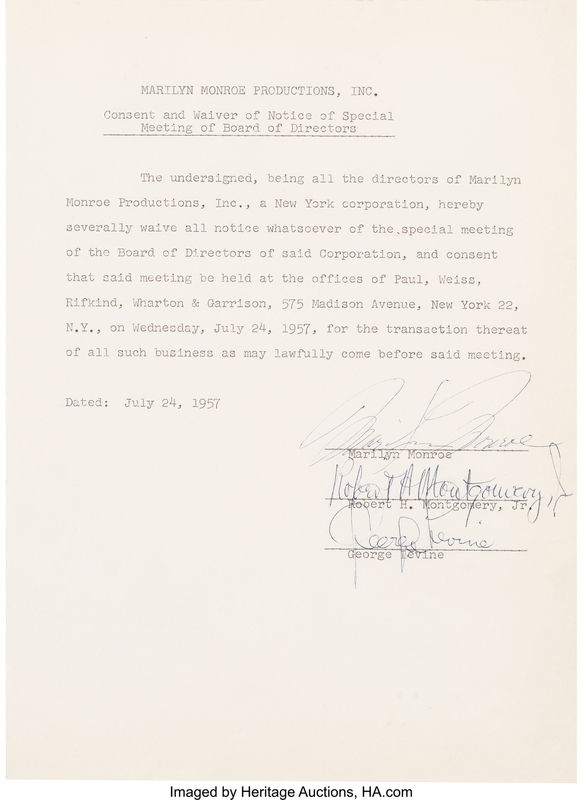 The directors of the Marilyn Monroe Productions (Marilyn Monroe, Robert H. Montgomery et George Levine) are on a business meeting in July 24, 1957 at an office at 575 Madison Avenue in New York. 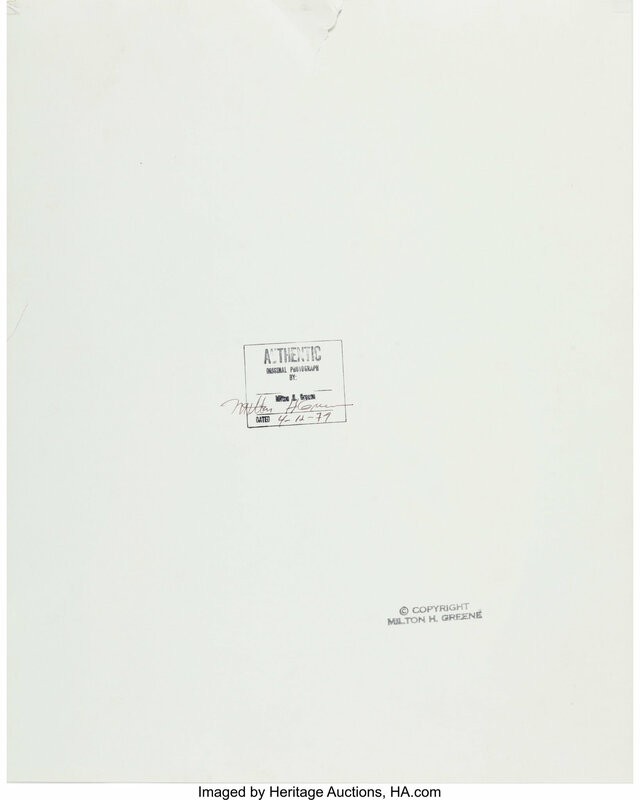 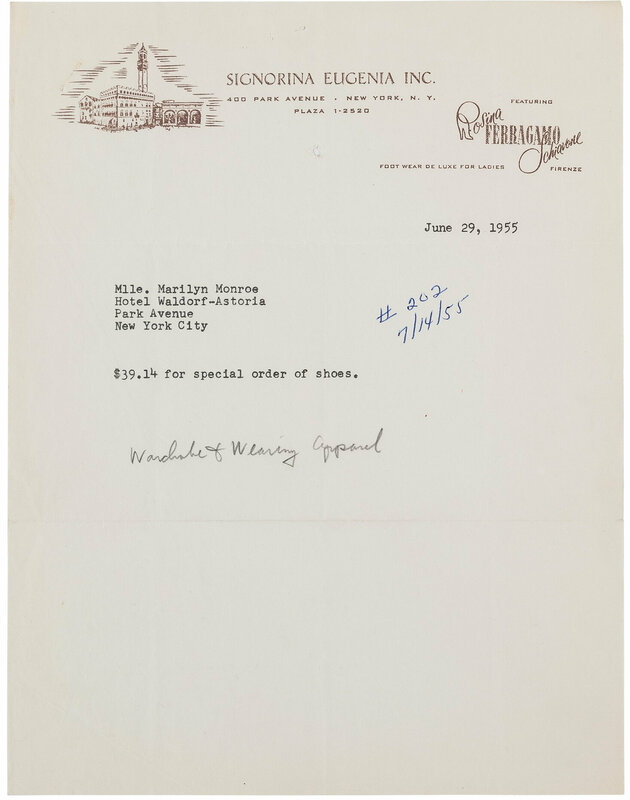 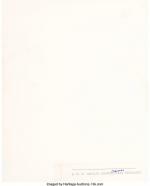 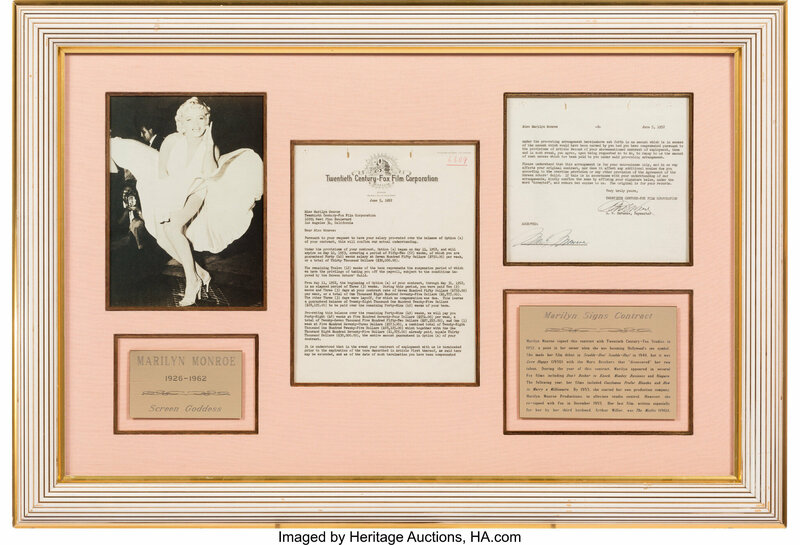 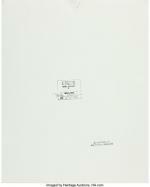 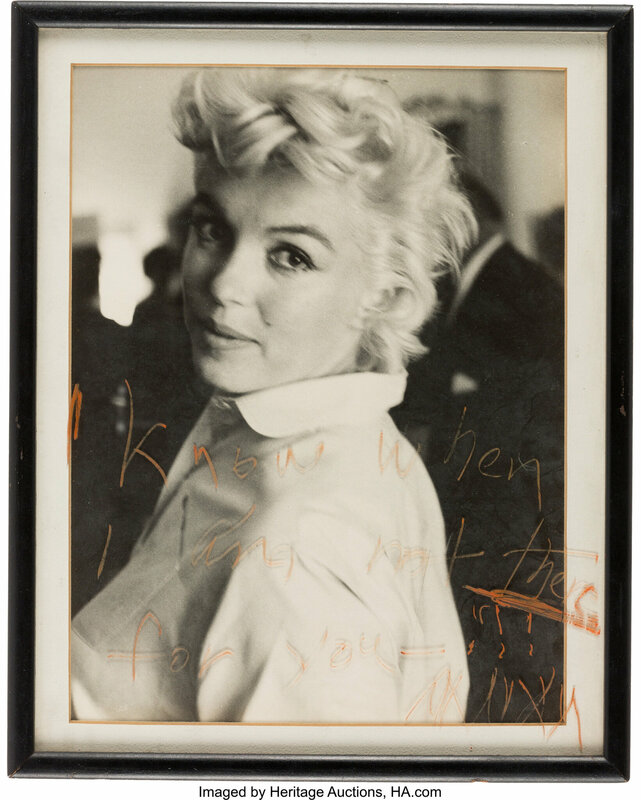 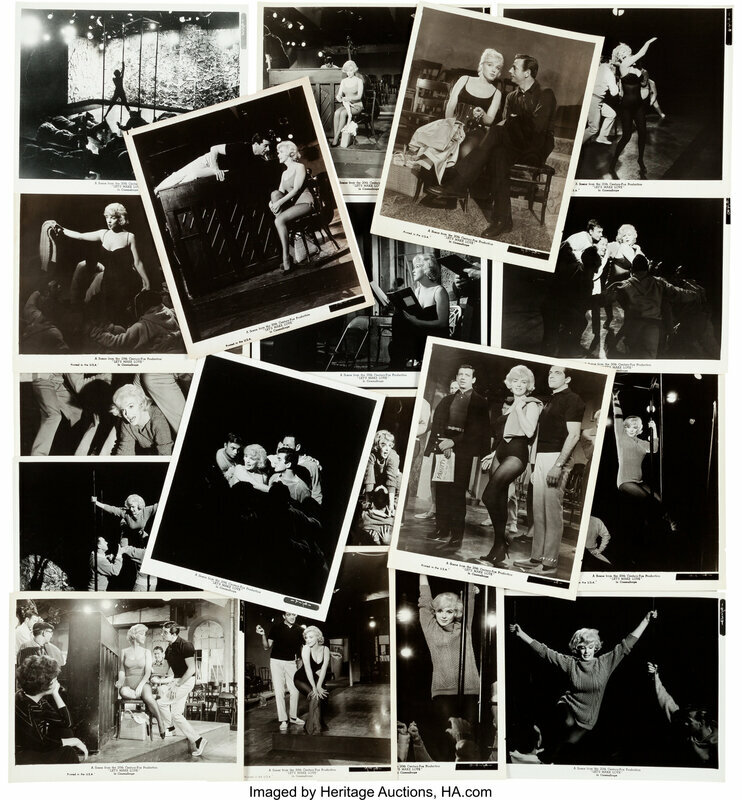 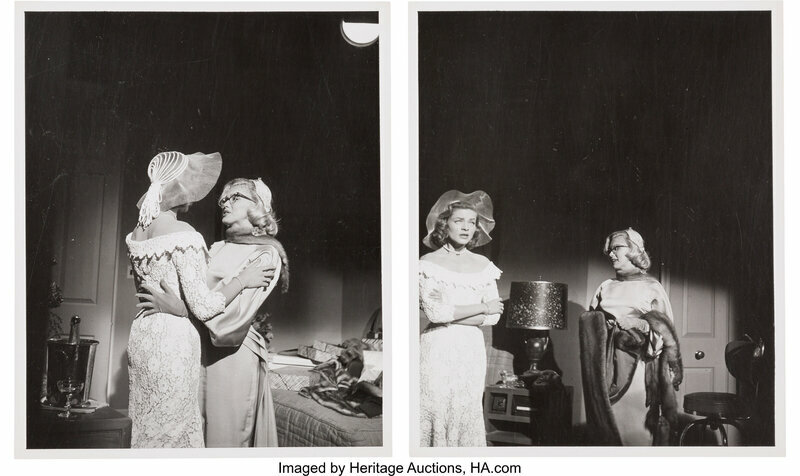 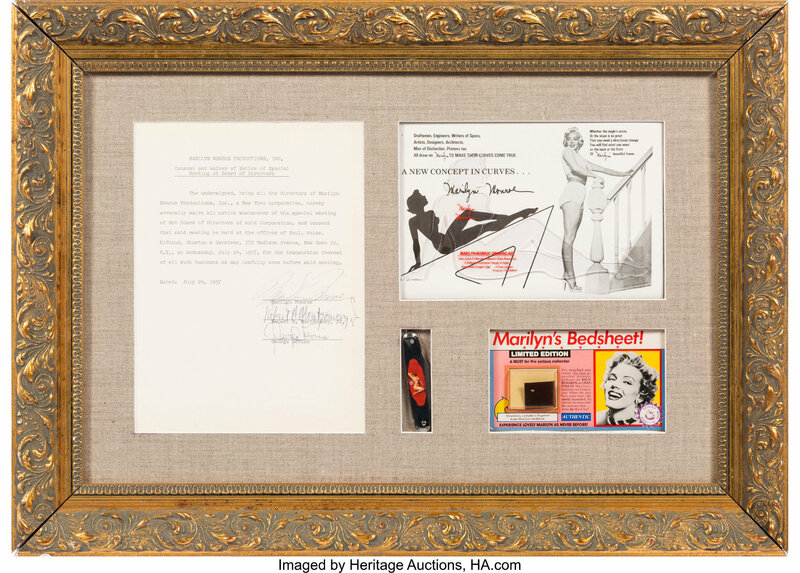 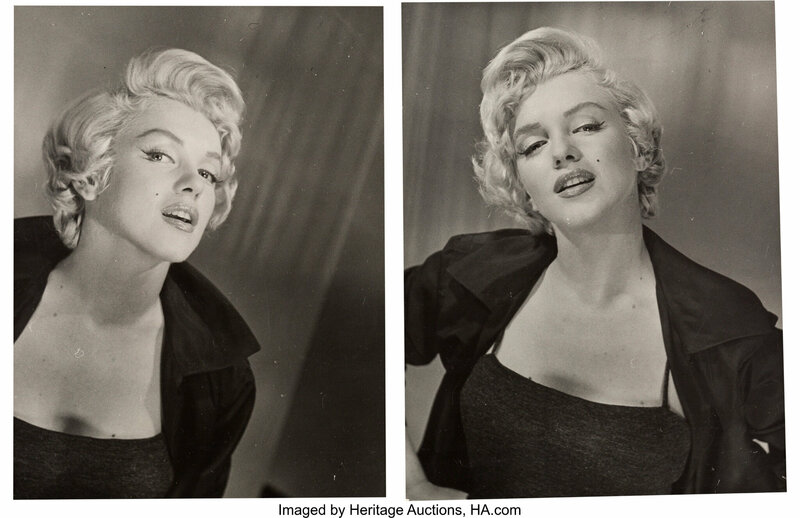 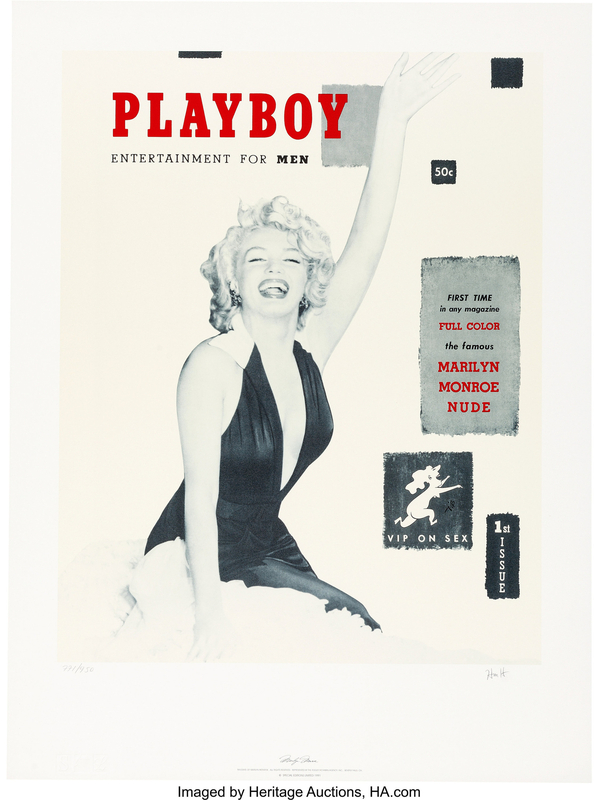 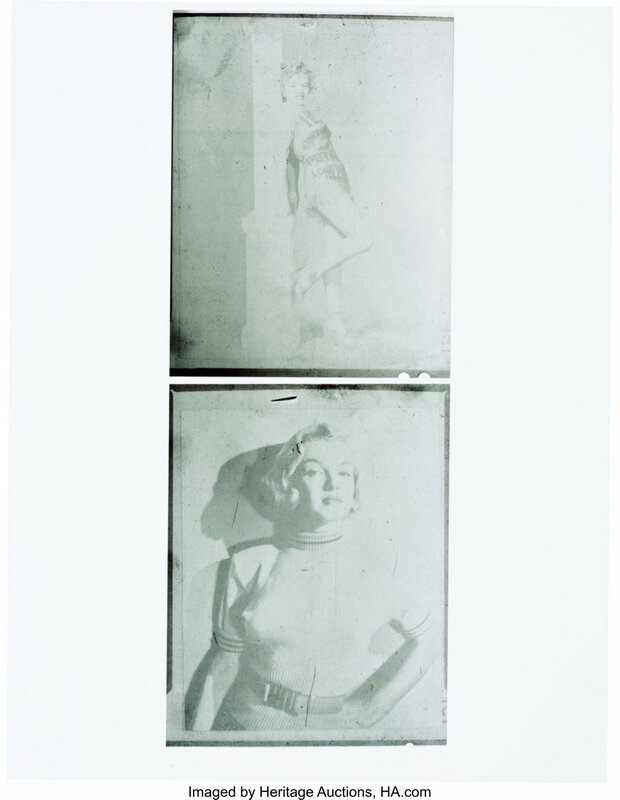 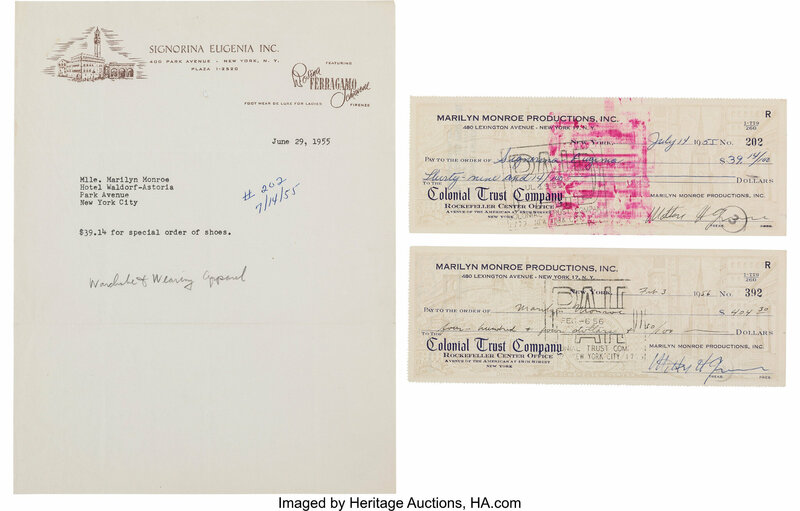 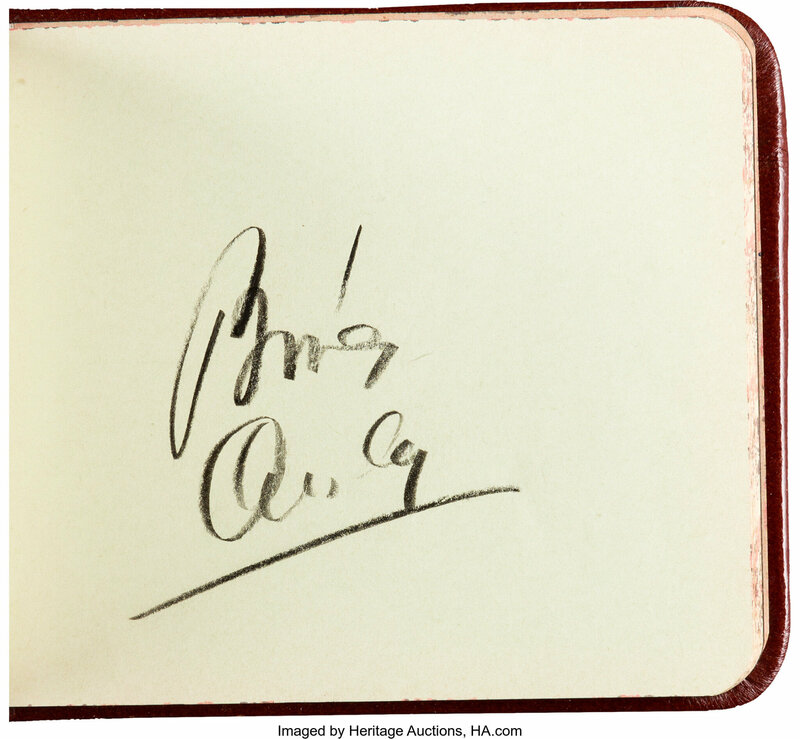 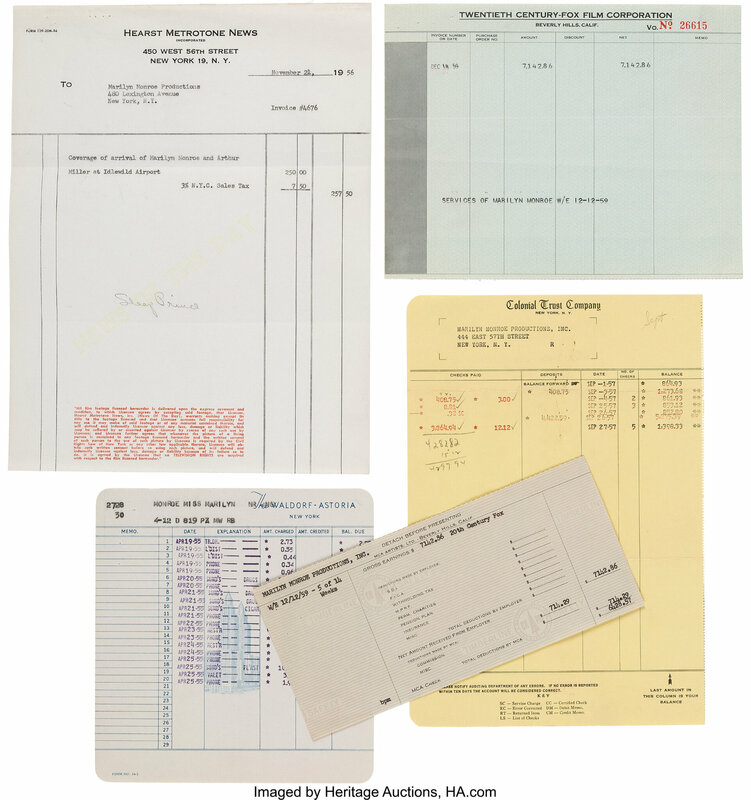 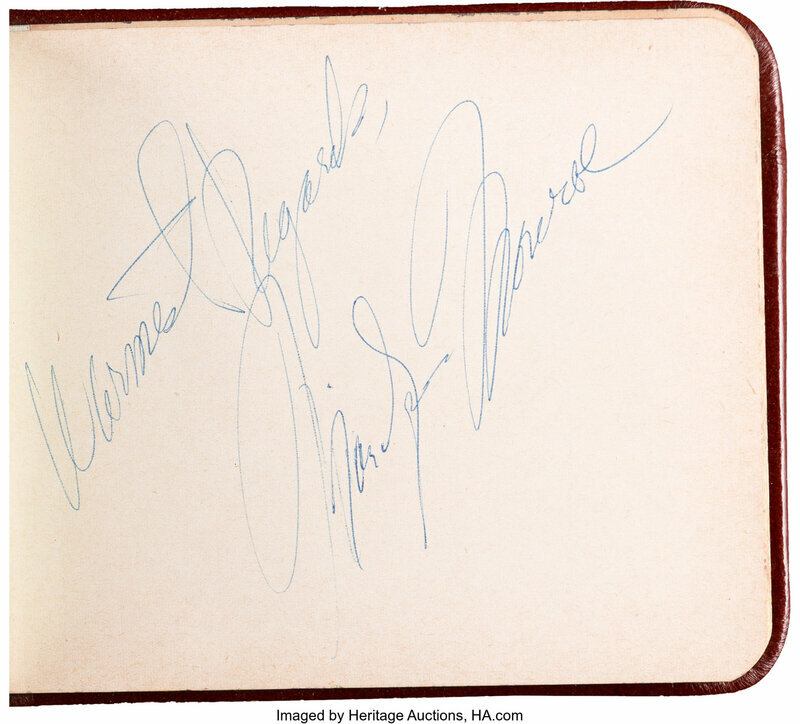 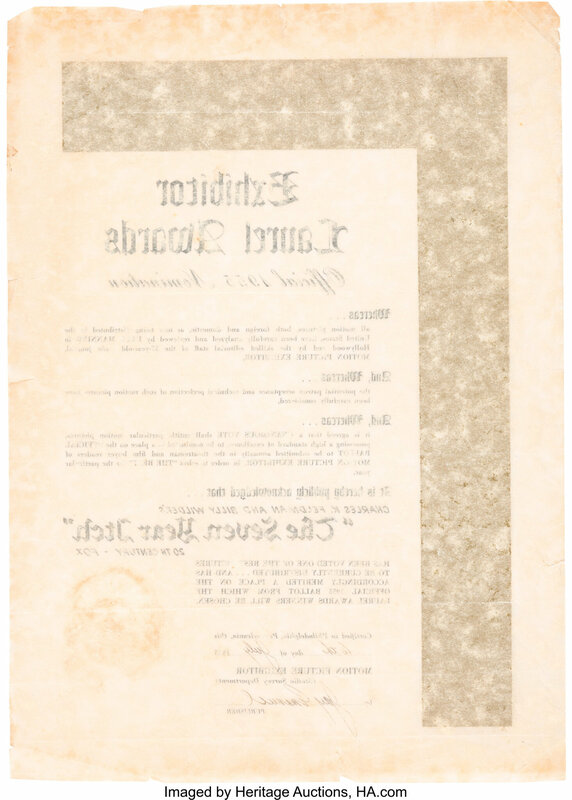 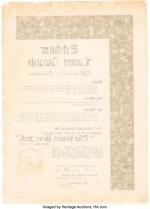 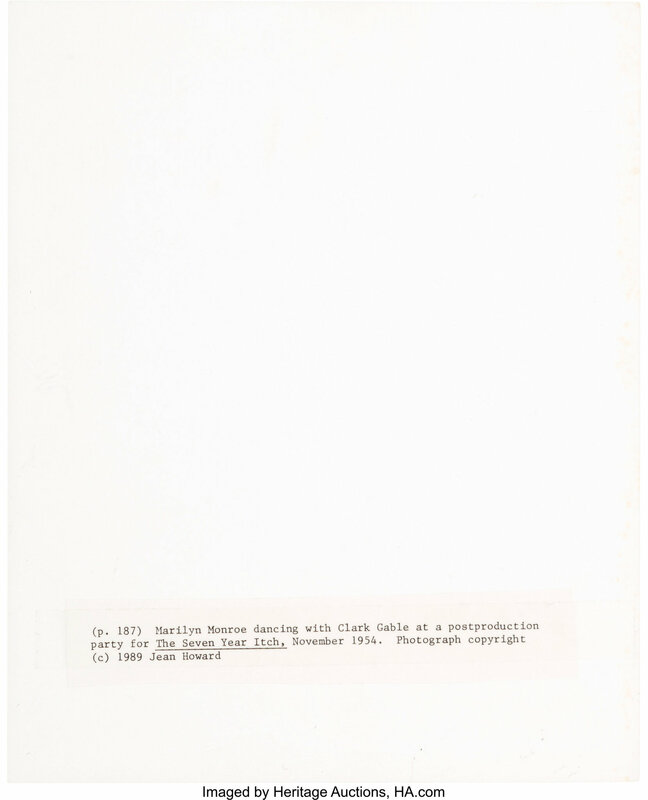 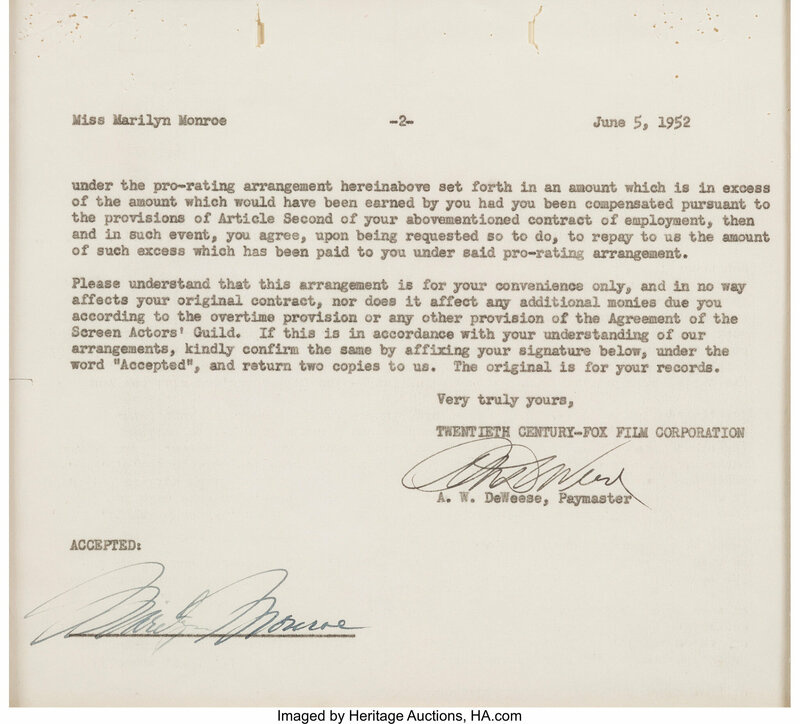 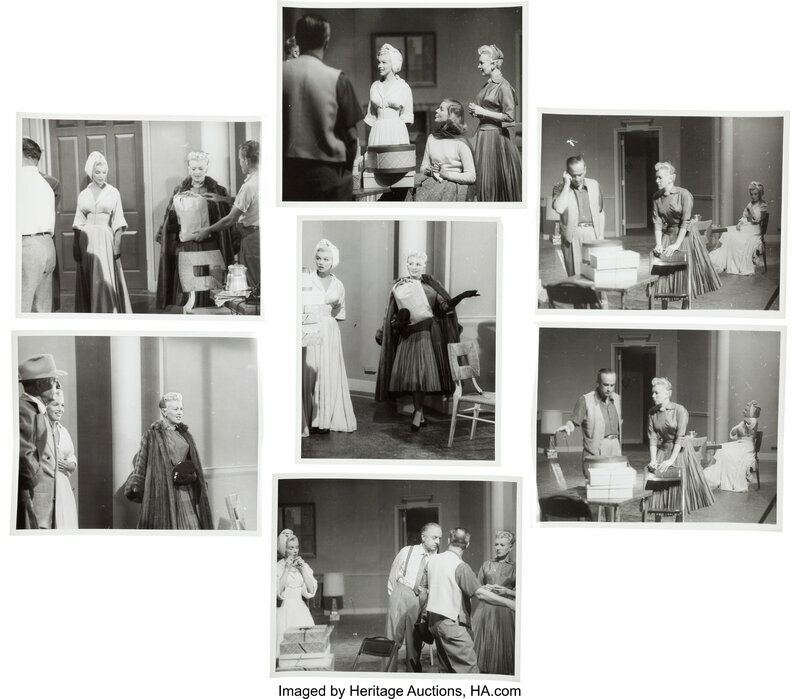 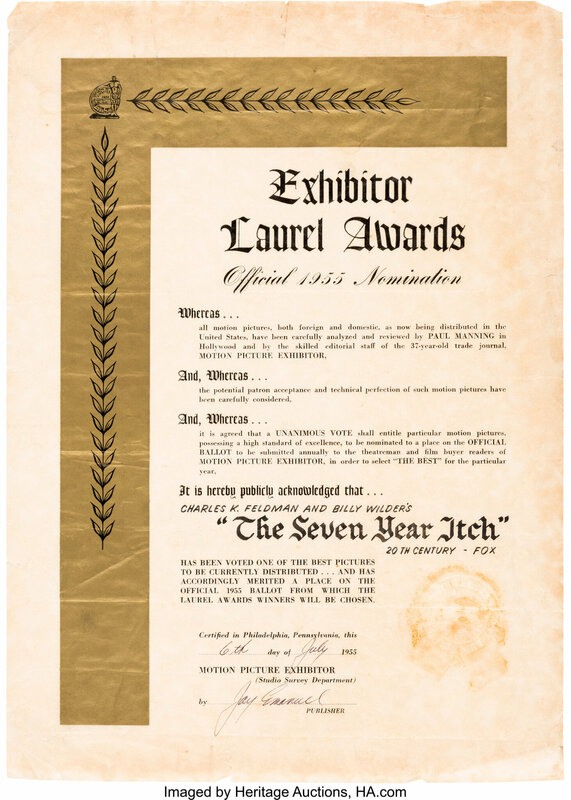 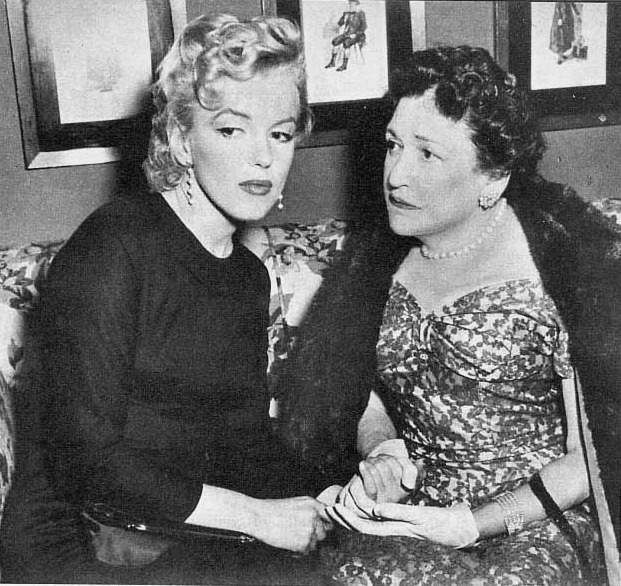 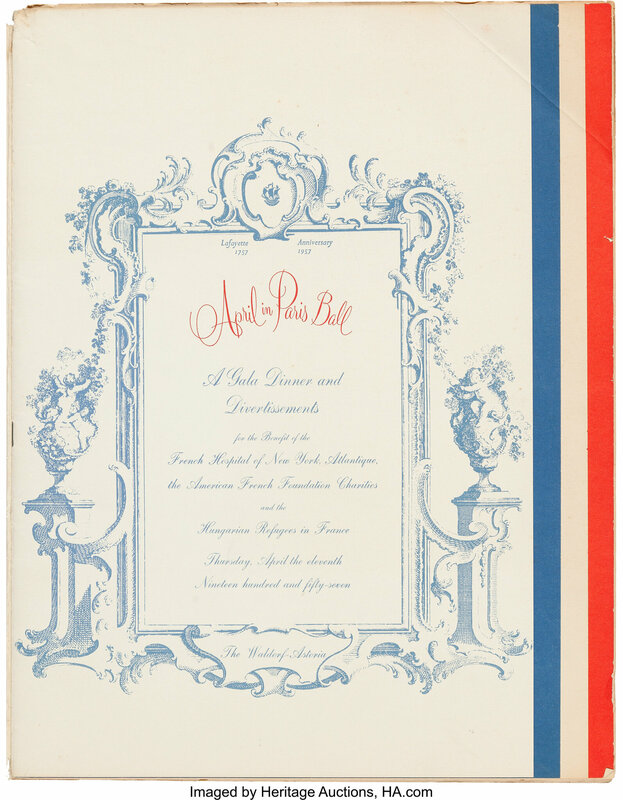 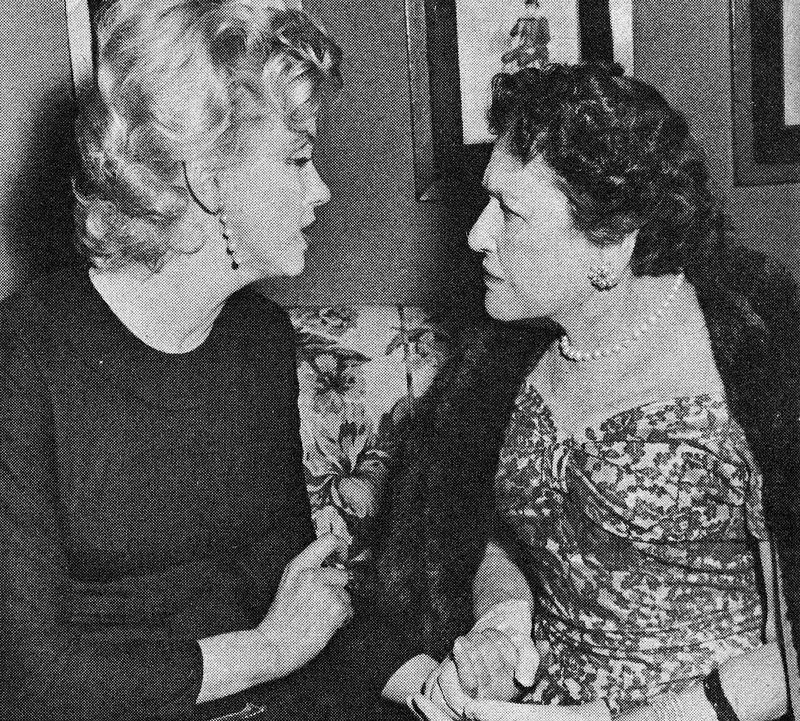 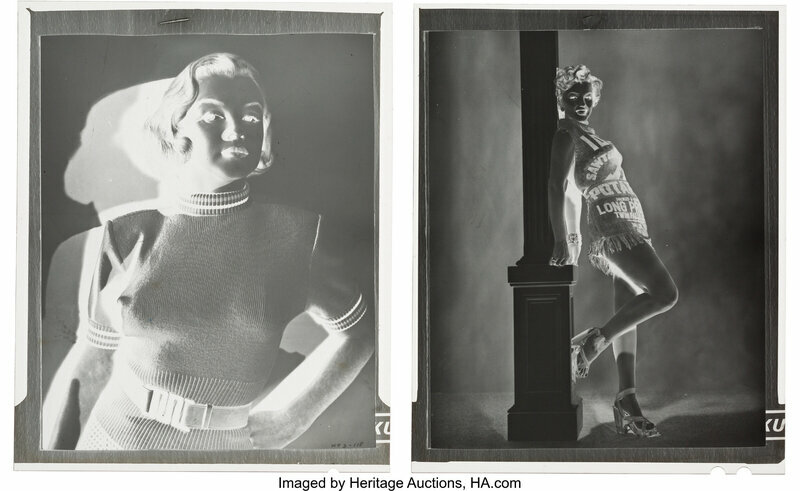 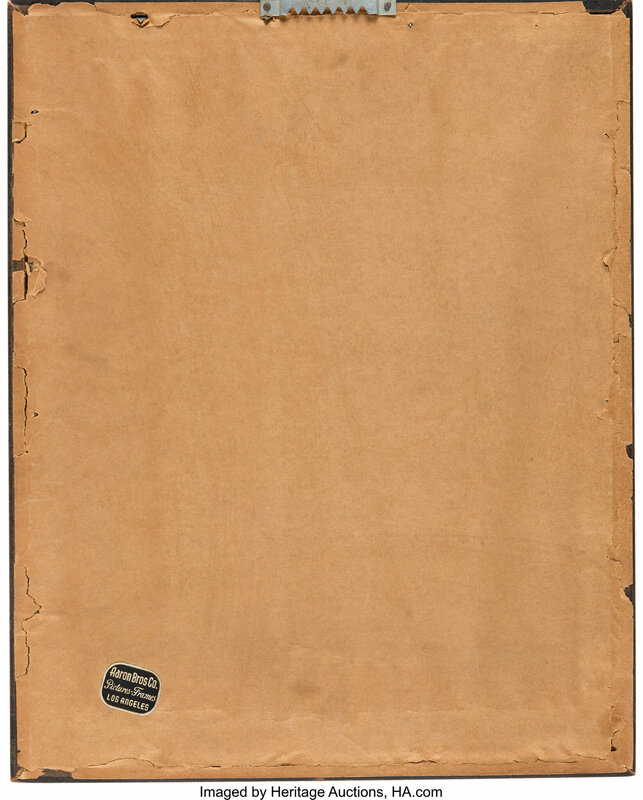 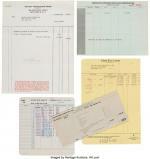 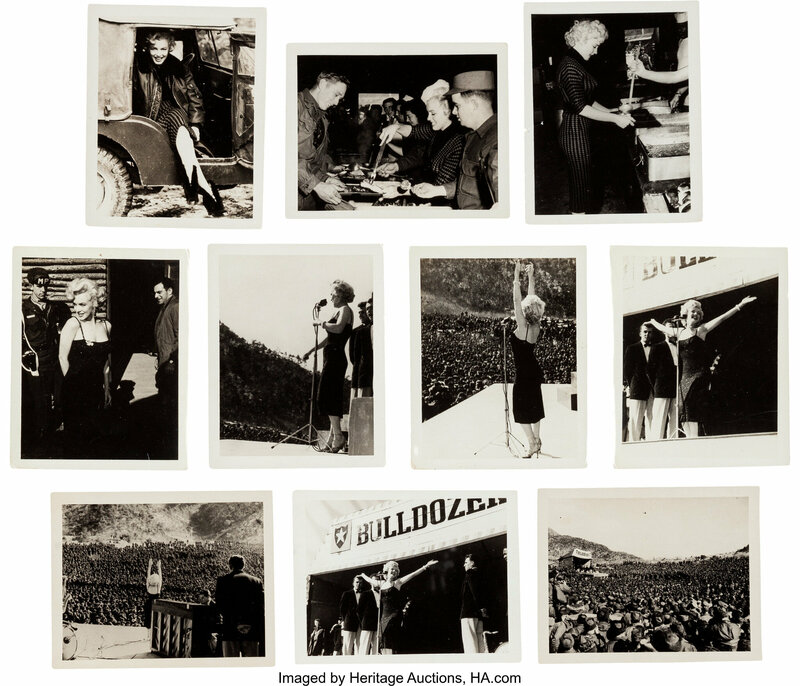 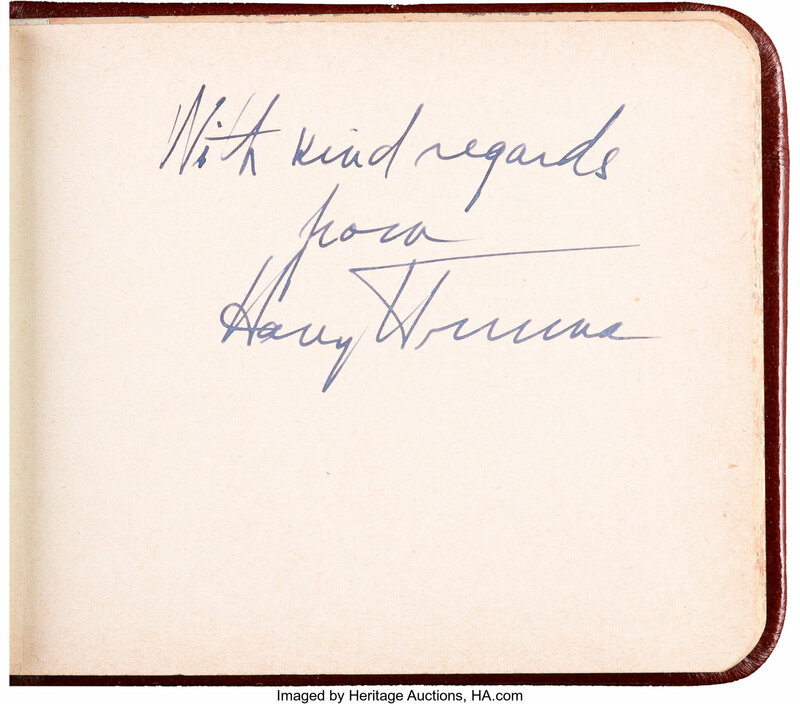 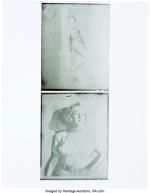 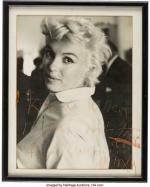 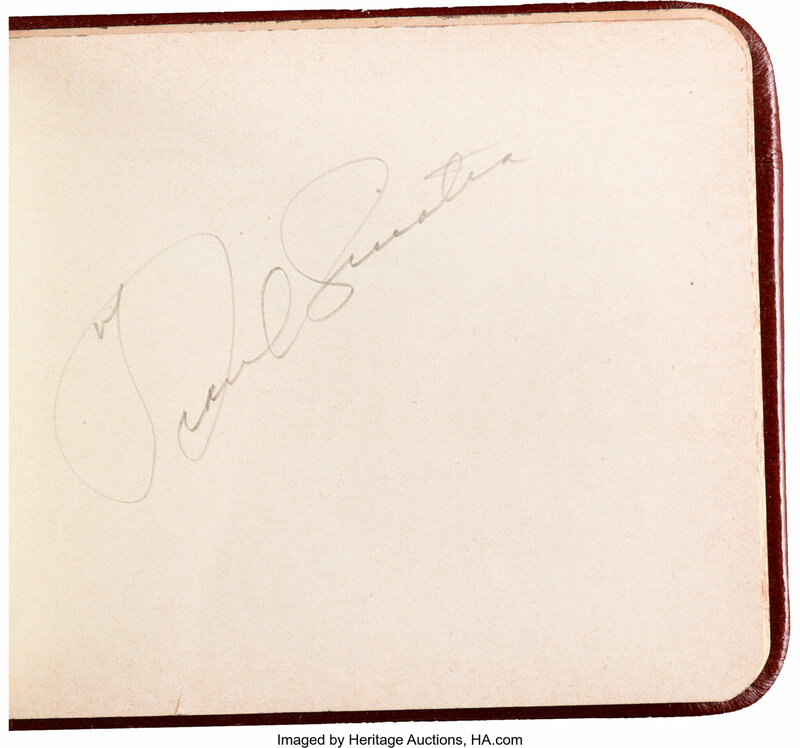 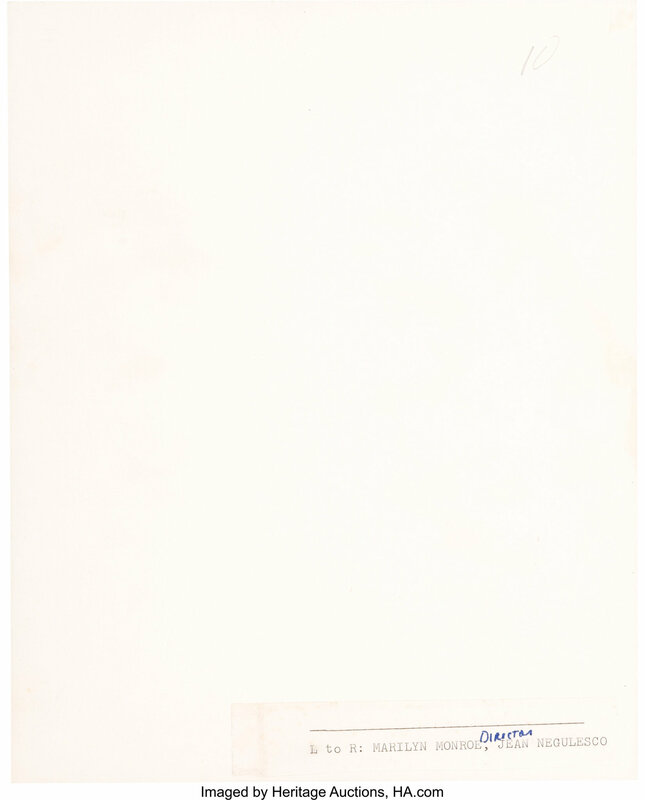 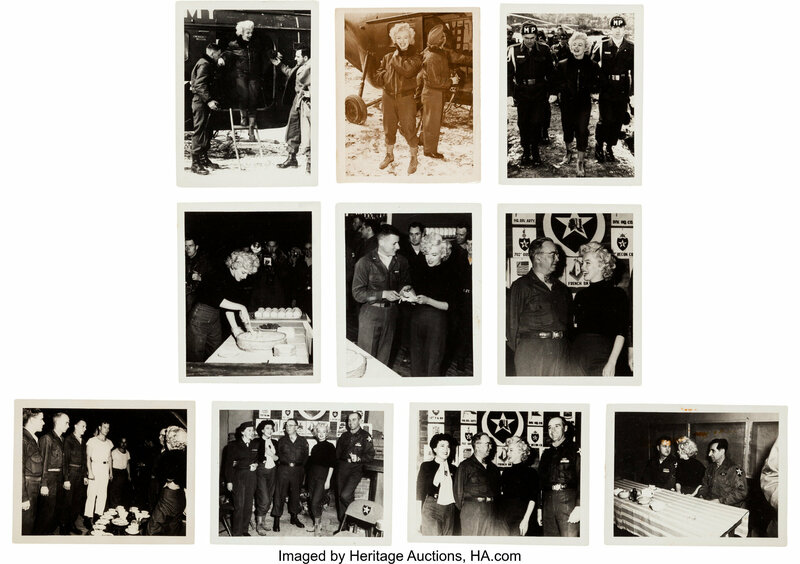 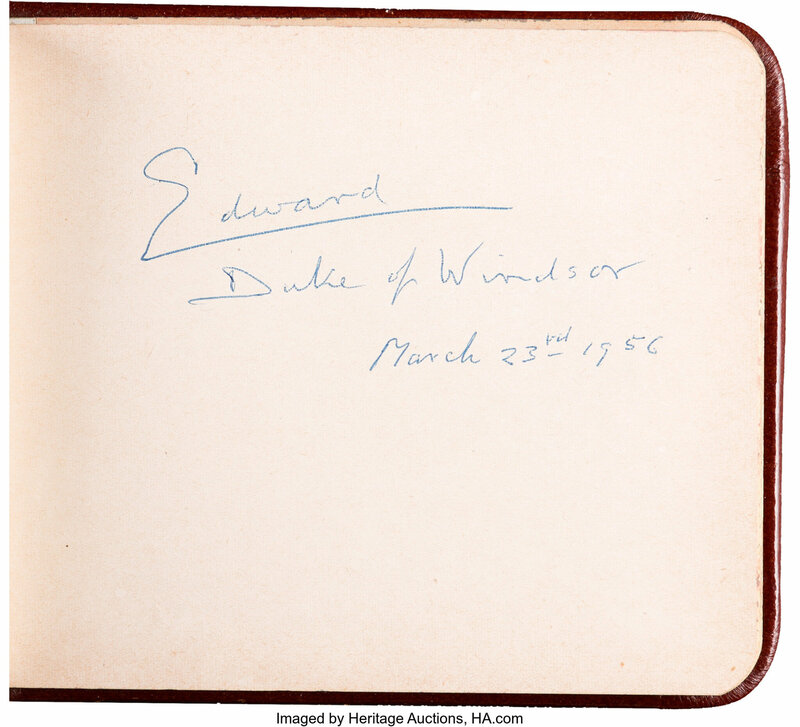 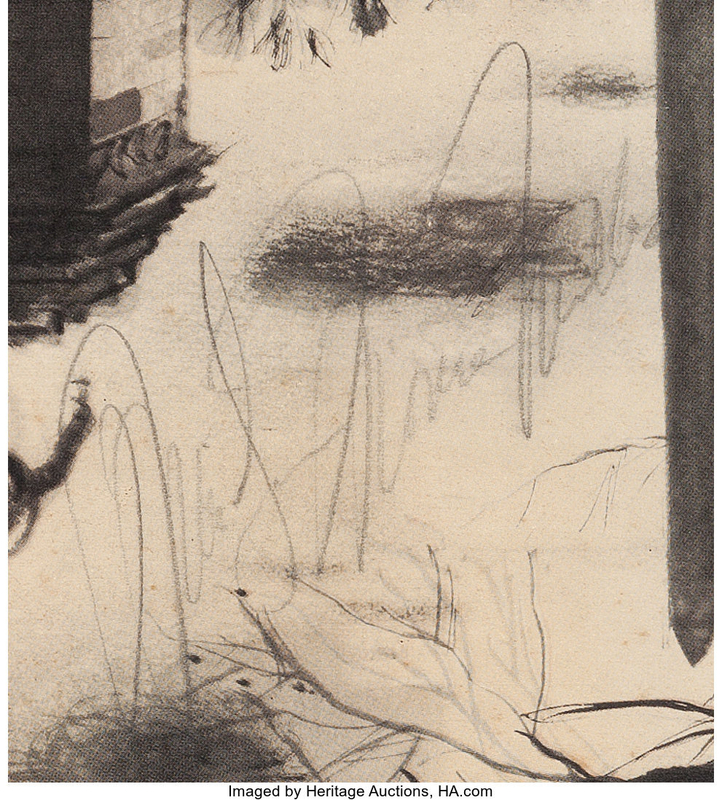 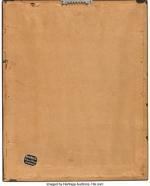 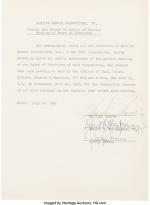 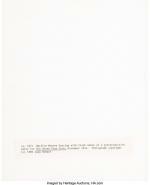 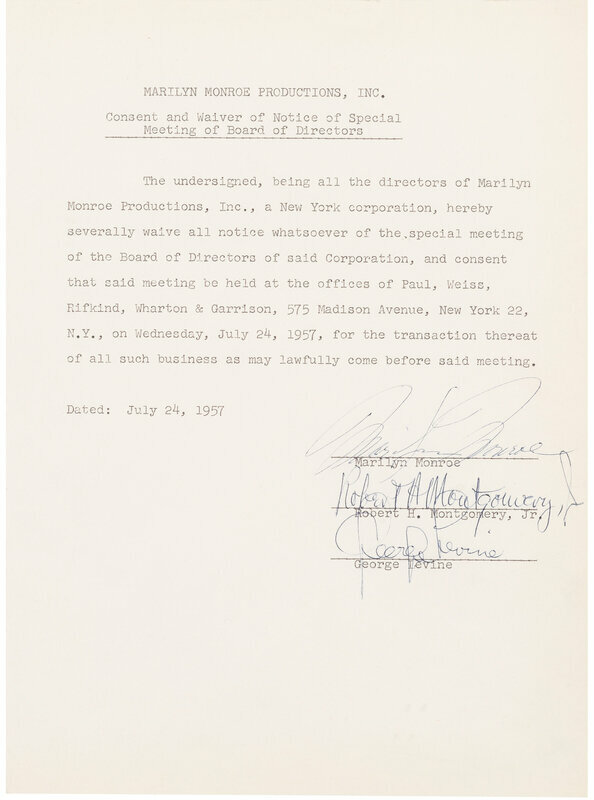 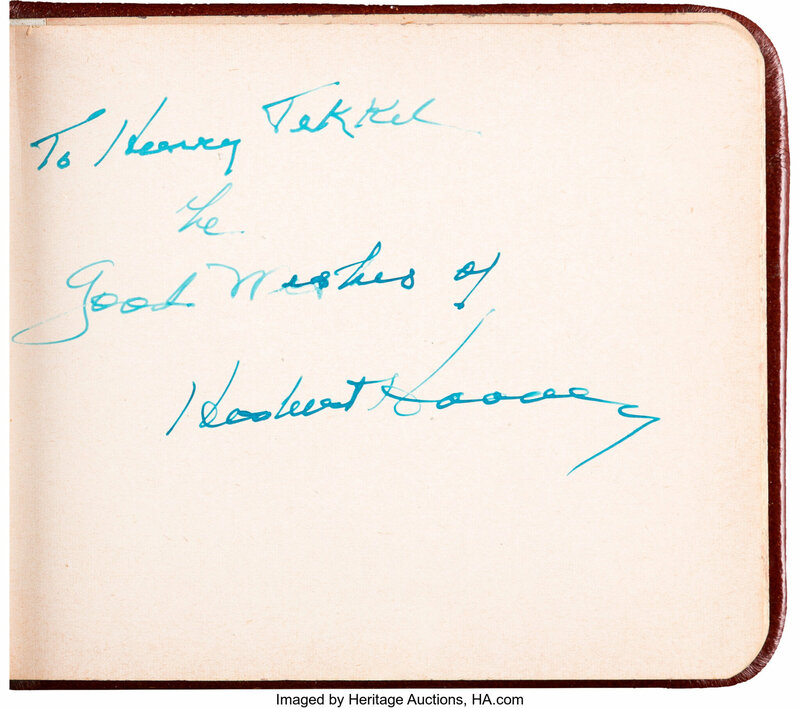 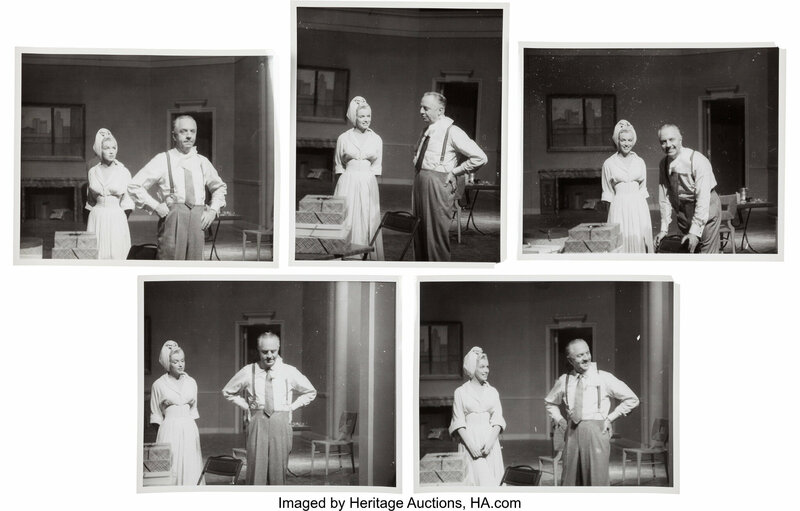 The undersigned, being all the directors of Marilyn Monroe Productions, Inc., a New York corporation, hereby severally waive all notice whatsoever of the special meeting of the Board of Directors of said Corporation, and consent that said meeting be held at the office of Paul, Weiss, Rifkind, Wharton & Garrison, 575 Madison Avenue, New York 22, N.Y., on Wednesday, July 24, 1957, for the transaction thereat of all such business as many lawfully come before said meeting. 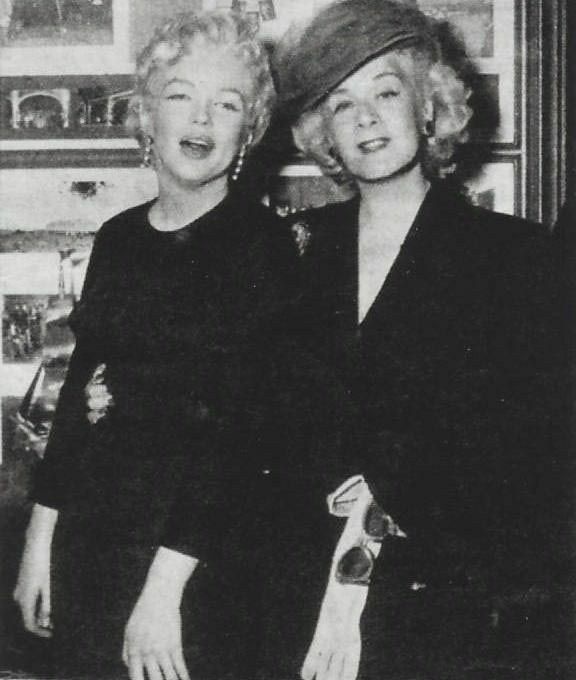 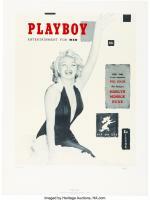 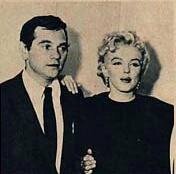 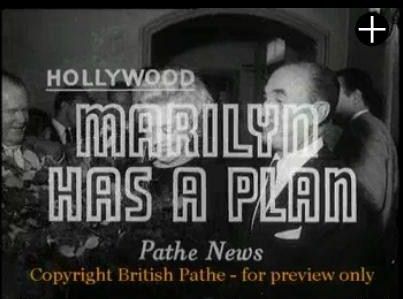 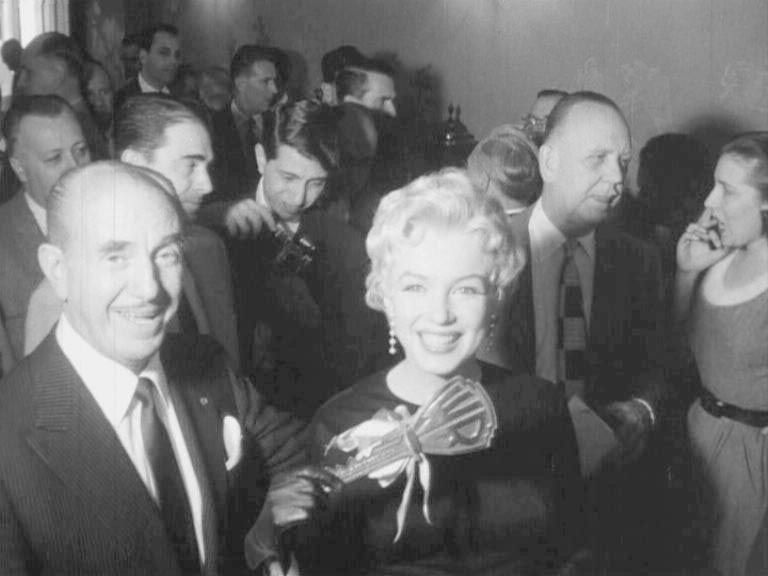 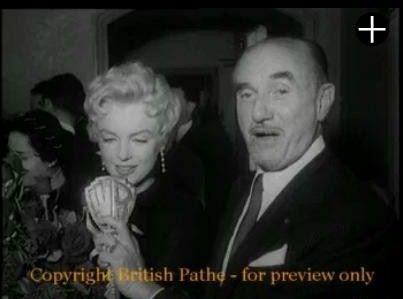 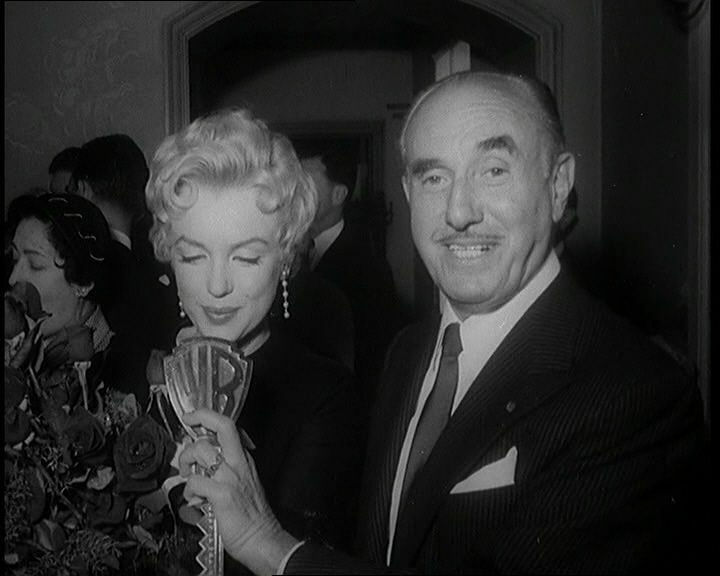 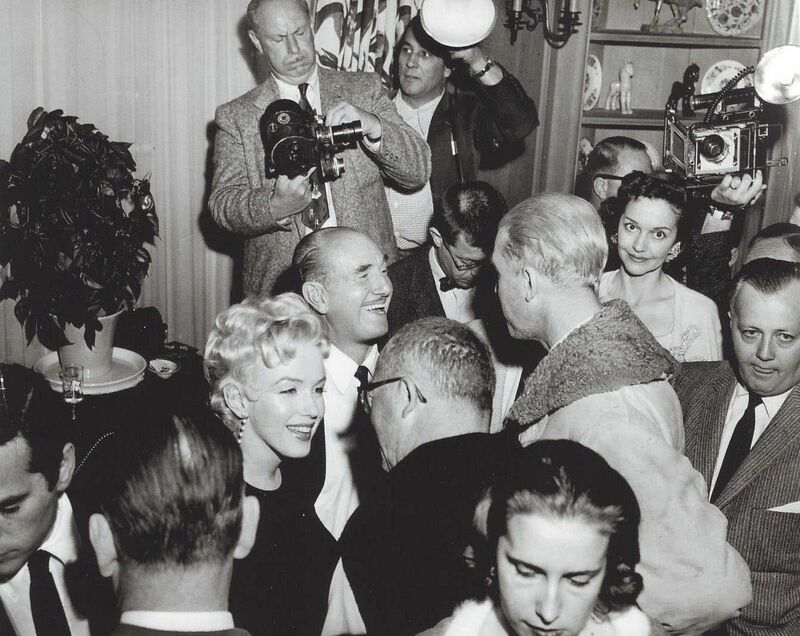 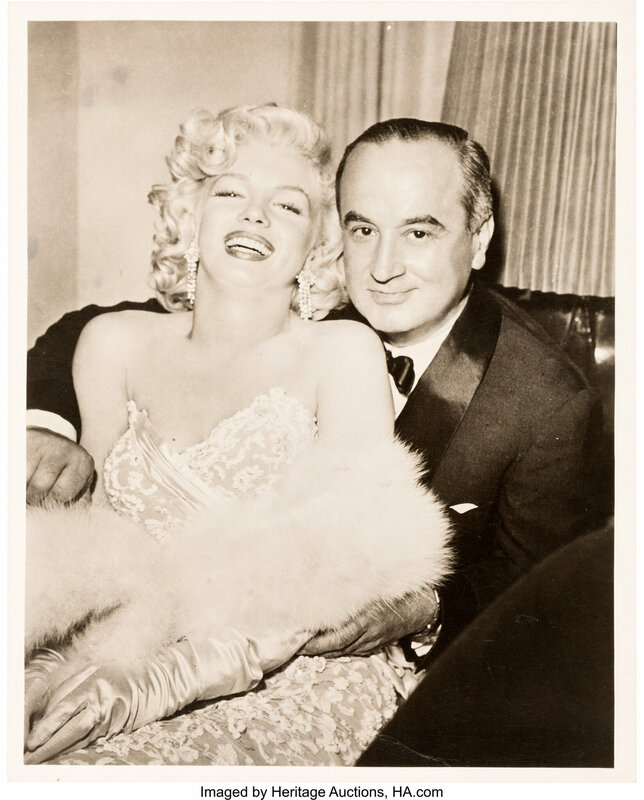 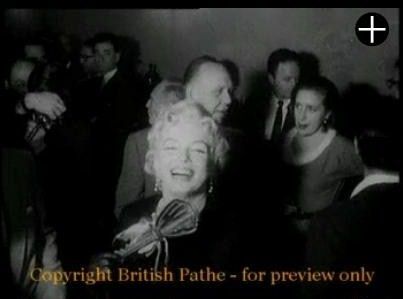 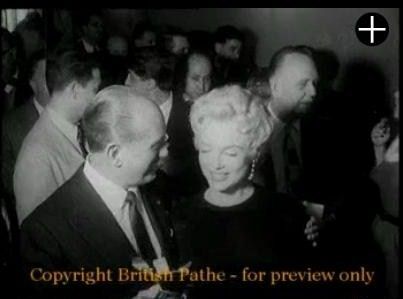 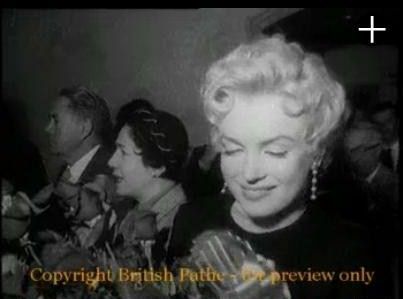 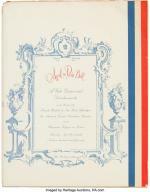 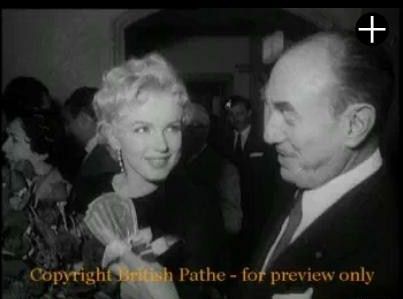 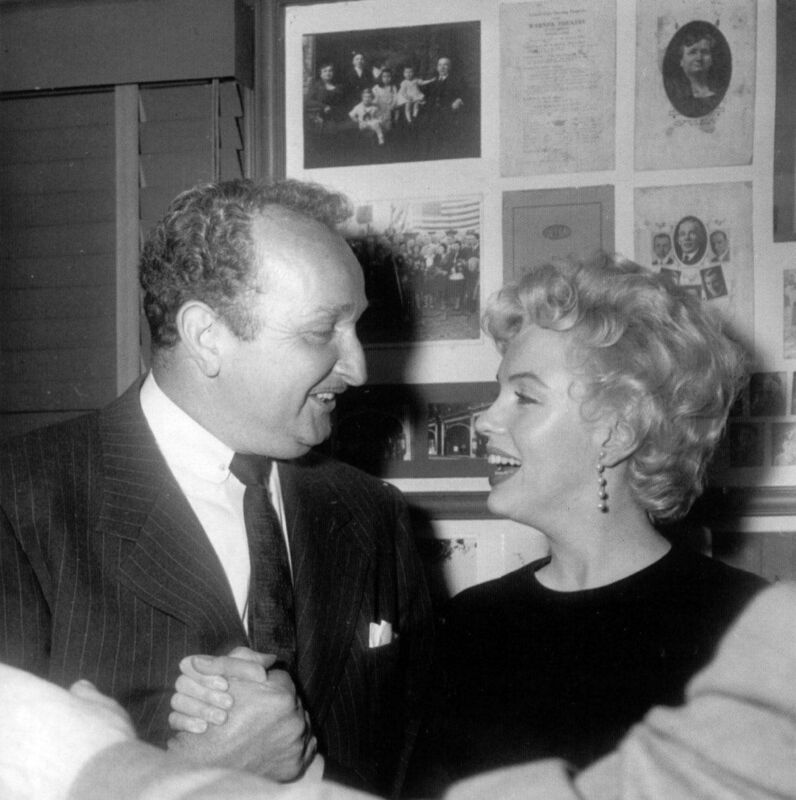 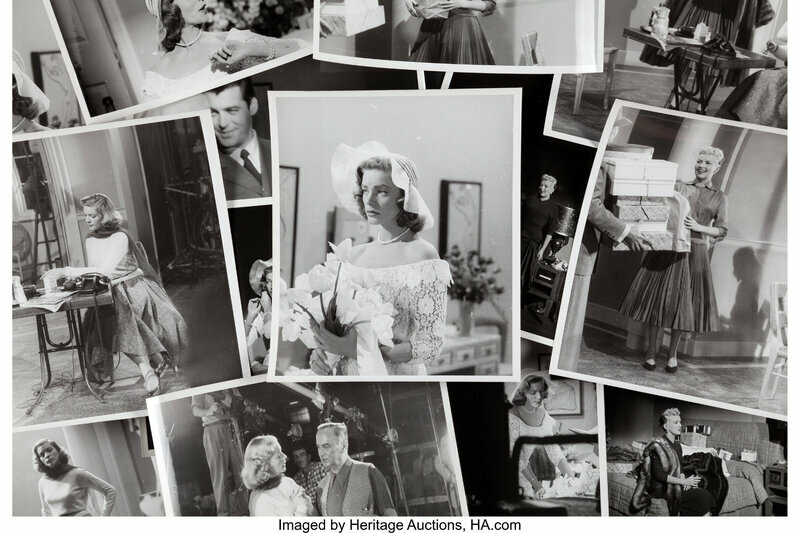 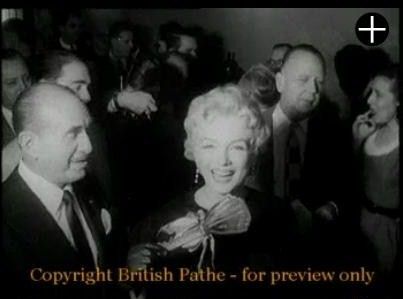 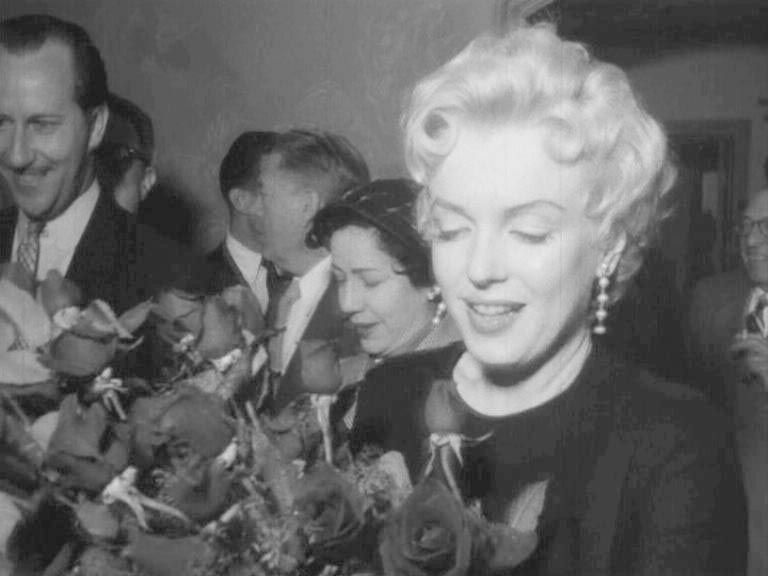 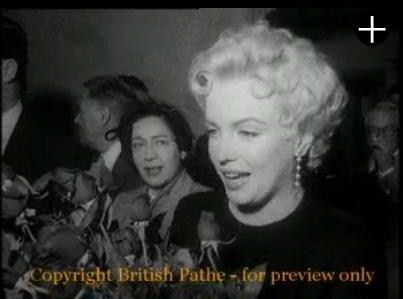 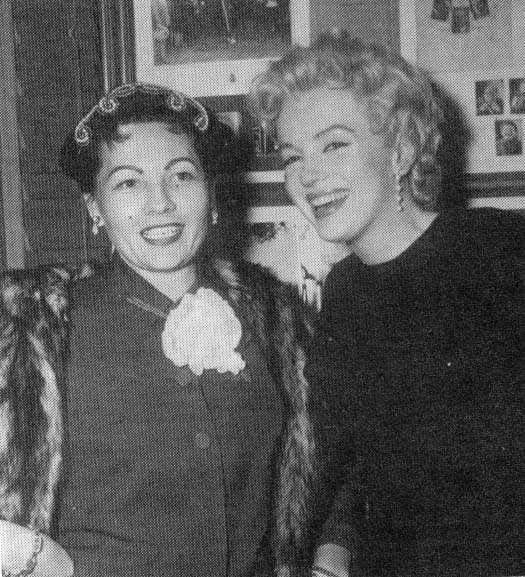 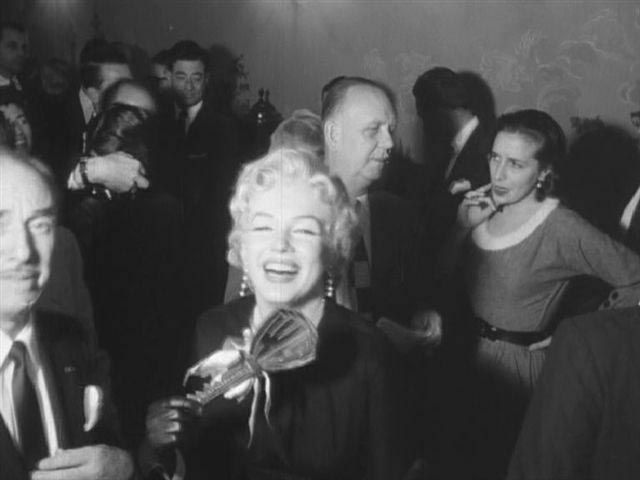 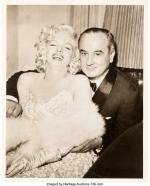 Le 1er mars 1956, une conférence de presse est organisée: Marilyn Monroe et son associé Milton Greene rencontrent Jack Warner pour annoncer officiellement qu’un accord de distribution (représenté par une clé) a été conclu entre les Marilyn Monroe Productions et la Warner pour le film "The sleeping prince" (le titre provisoire pour "The prince and the showgirl" / "Le prince et la danseuse"). 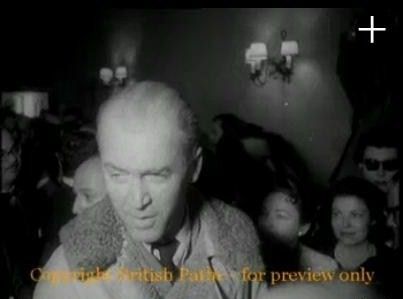 Parmi les personnalités présentes, se trouvent le réalisateur Billy Wilder et l'acteur James Stewart. 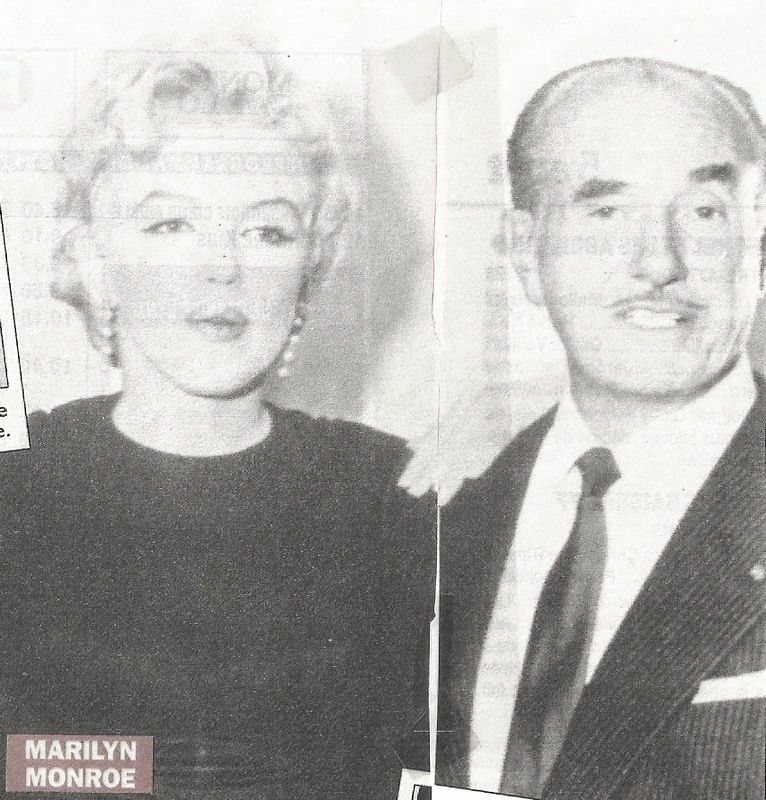 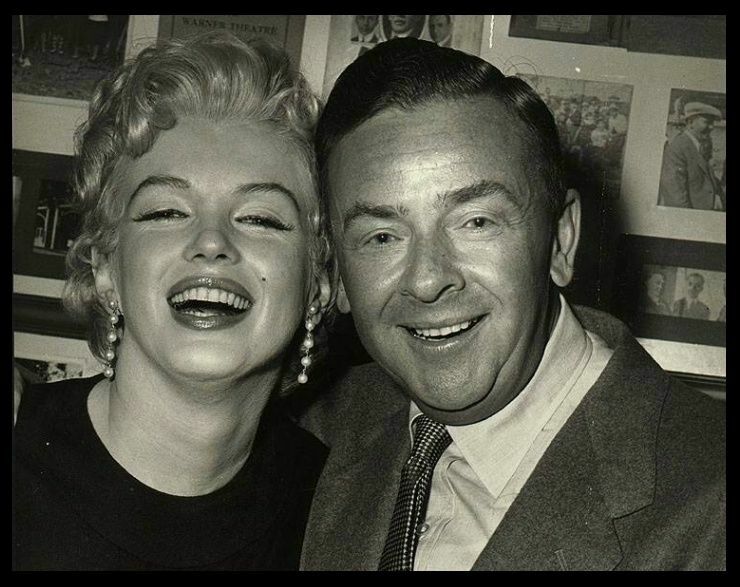 Pat Newcomb, l'attaché de presse de Marilyn, est à ses côtés. 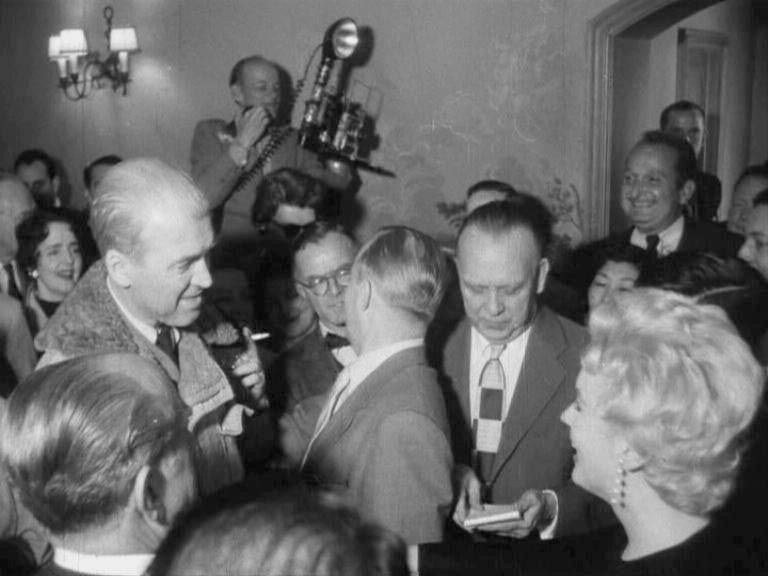 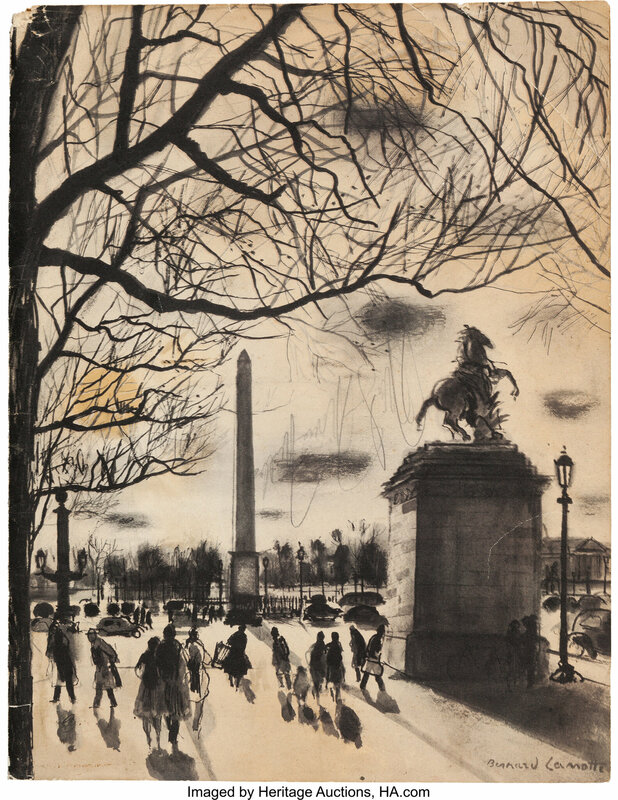 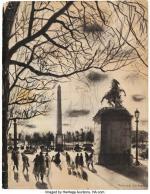 De nombreux journalistes de la presse américaine et étrangère sont sur les lieux: Francis Bacon, Louella Parsons, Jose Jasd, Joan Mc Trevor, Pedro de Samaniego et Olga Andre. 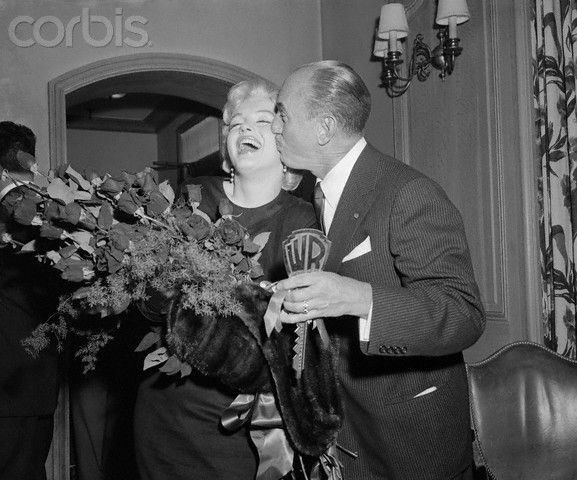 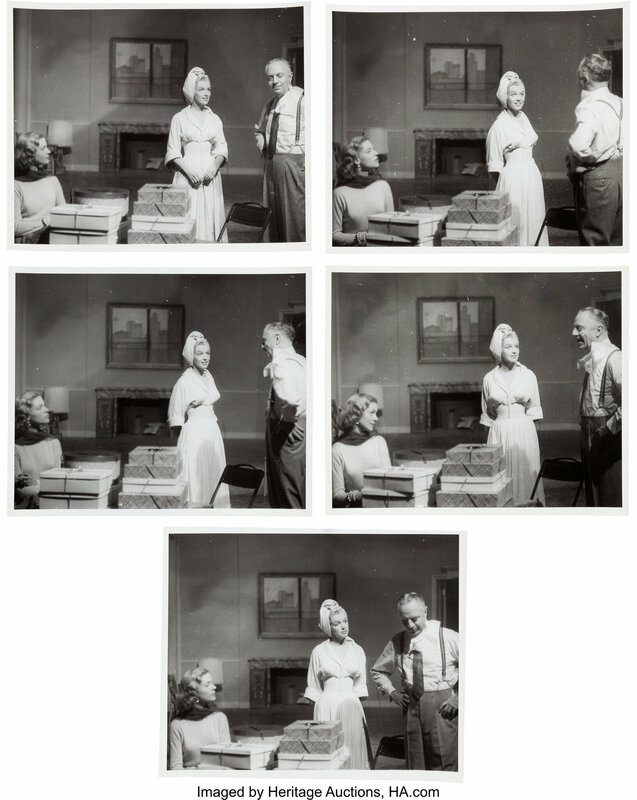 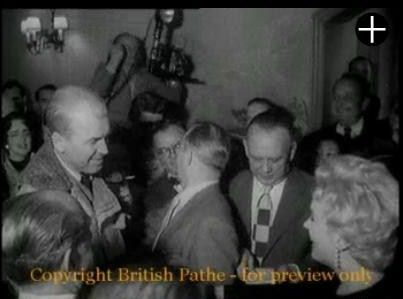 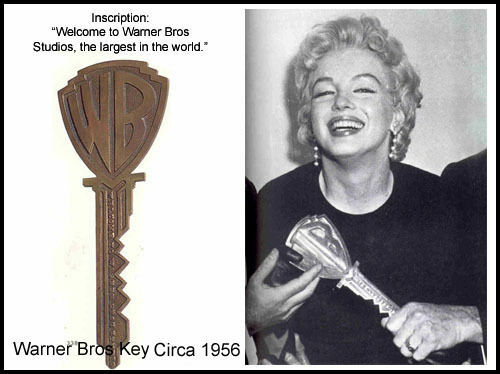 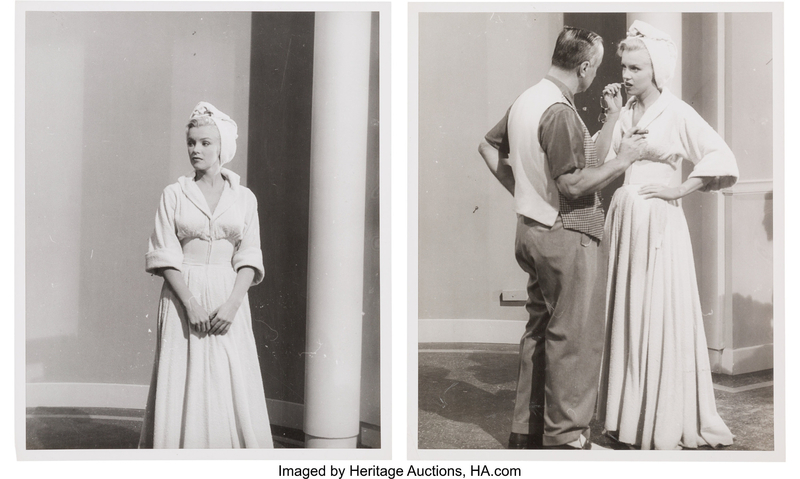 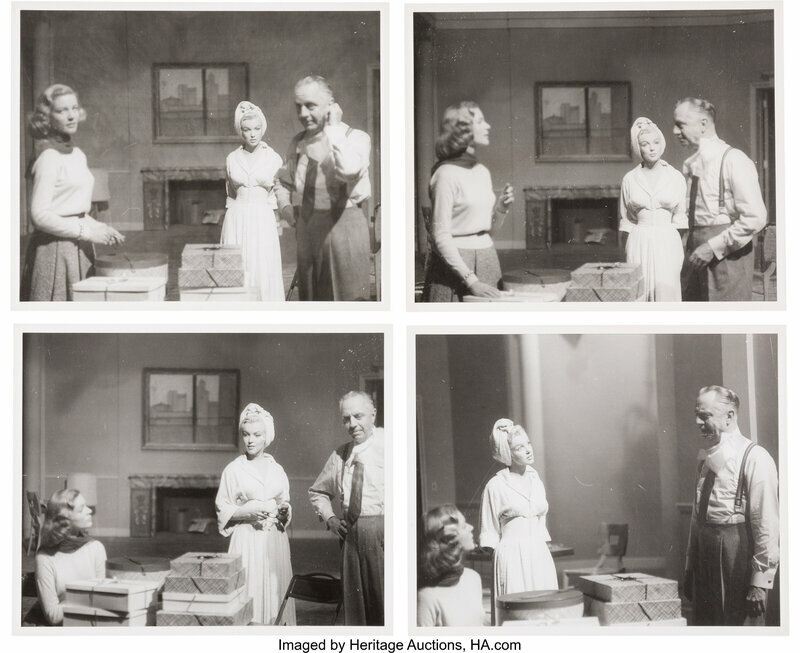 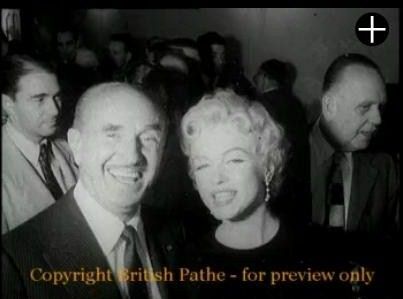 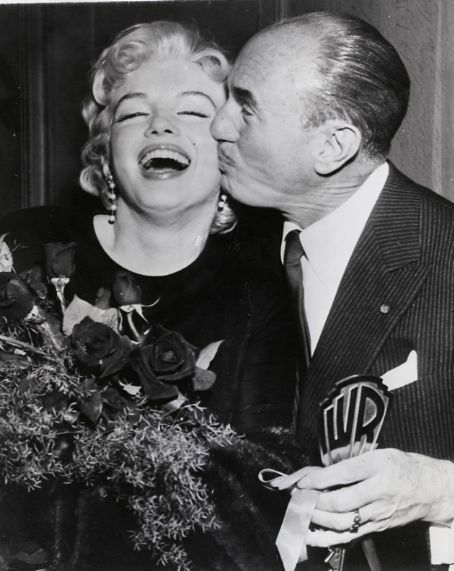 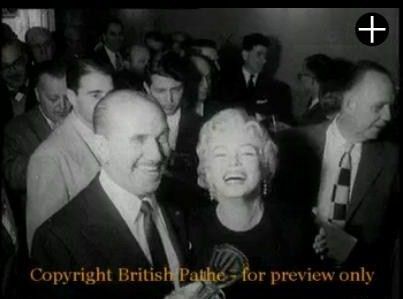 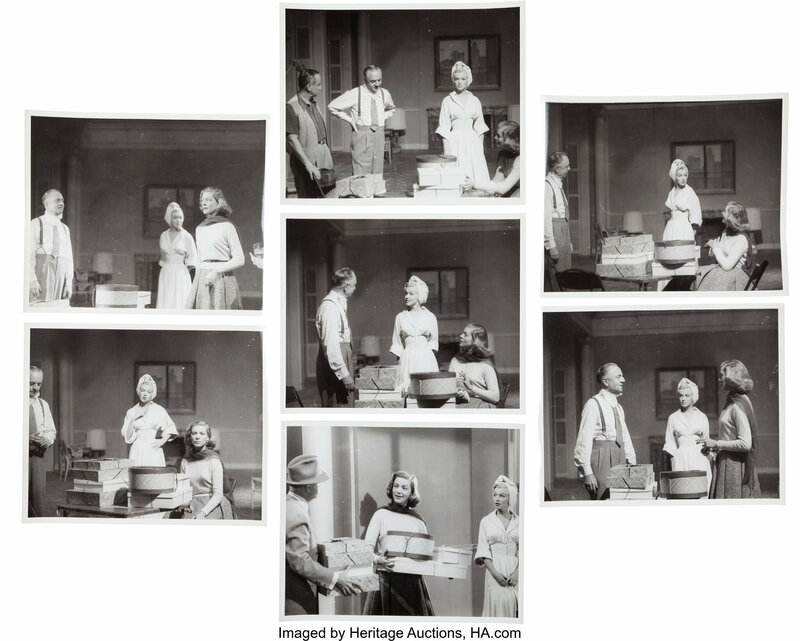 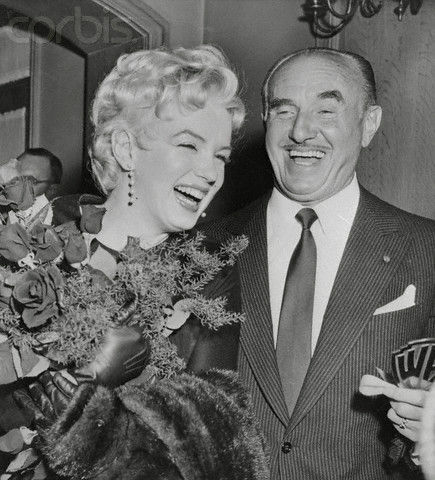 "Welcome to Warner Bros Studios, the largest in the world"
On March 1st, 1956, Marilyn Monroe laughs heartily with Jack Warner, president of Warner Bros. Studios here, after Warner announced that Miss Monroe will co-star with British actor Laurence Olivier in the film version of "The Sleeping Prince" for Warner Bros. 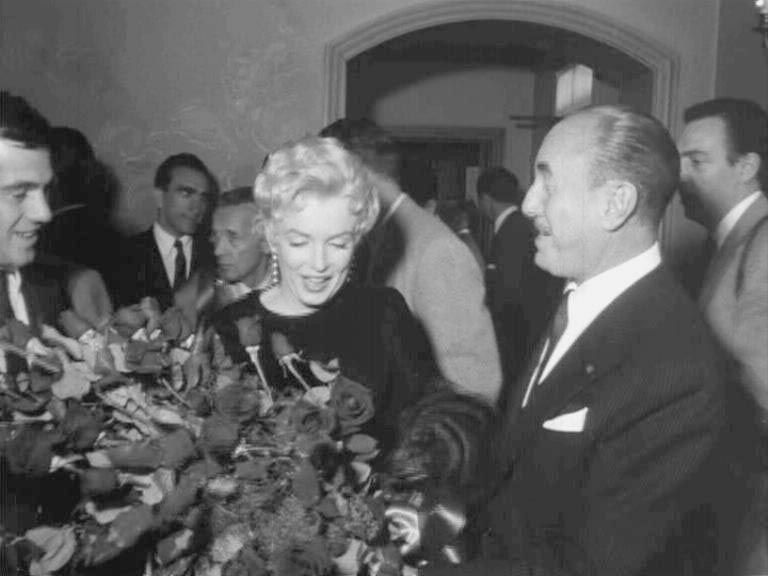 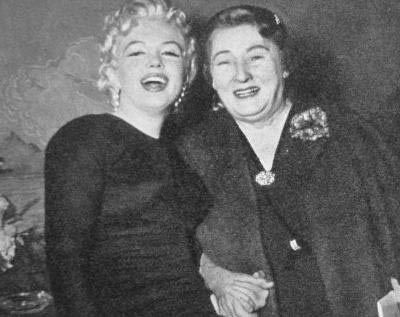 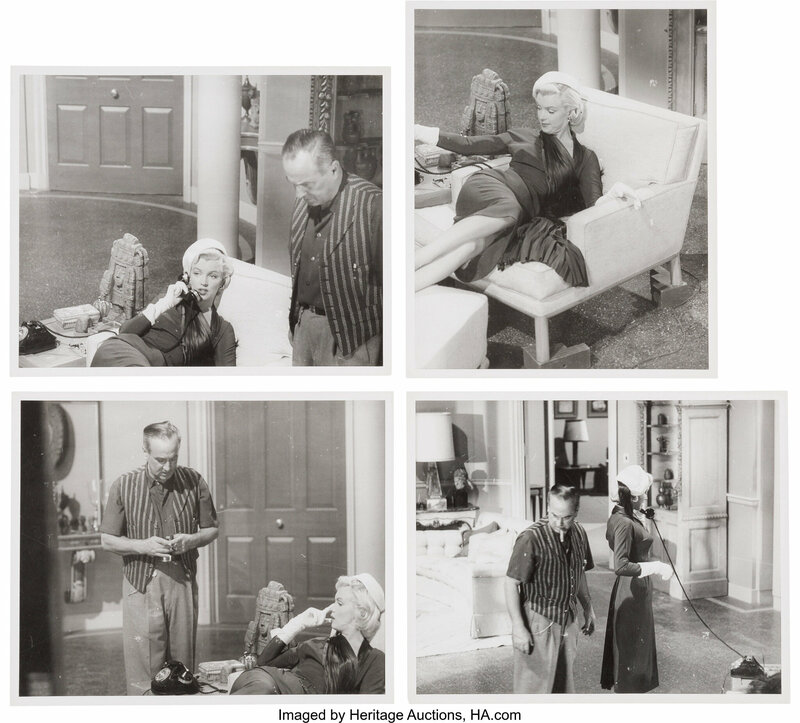 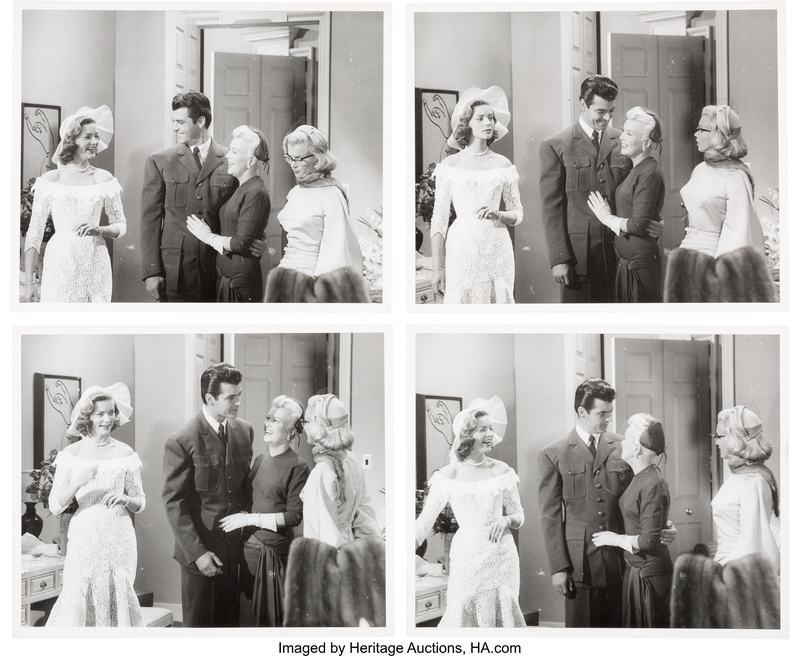 It was announced that the movie will be produced jointly by Marilyn Monroe Productions and Olivier, who will star and direct the movie for Warners.